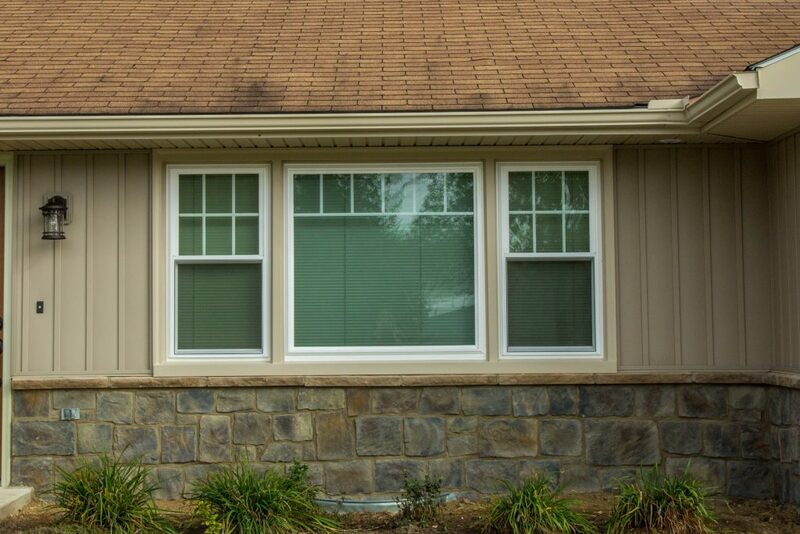 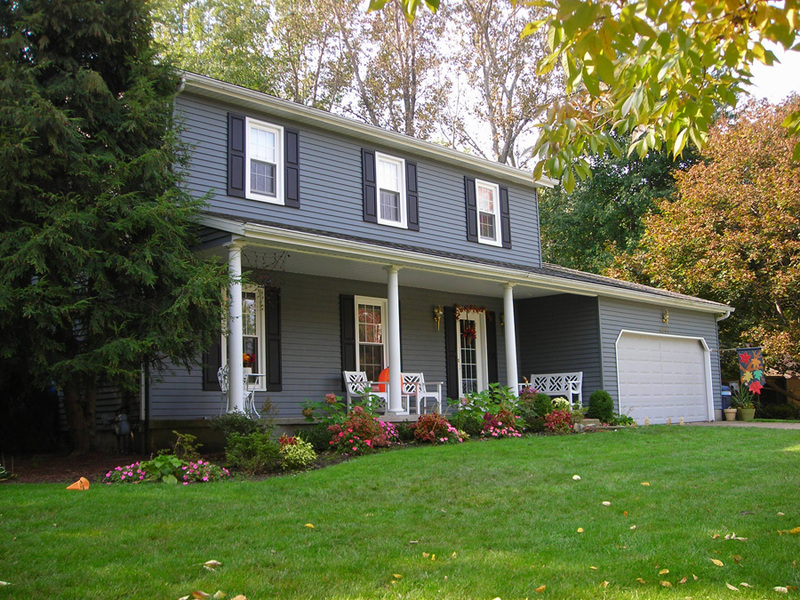 Replacement windows affect the look of your home. 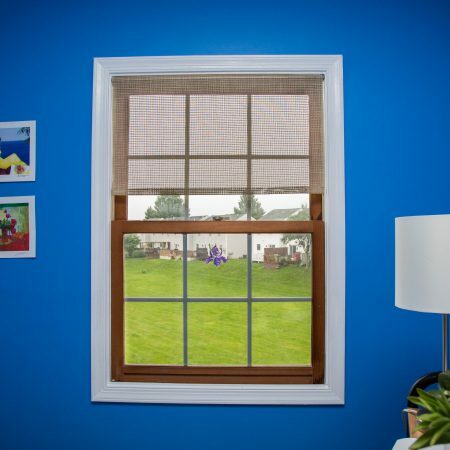 They also have a major impact on energy usage and comfort. 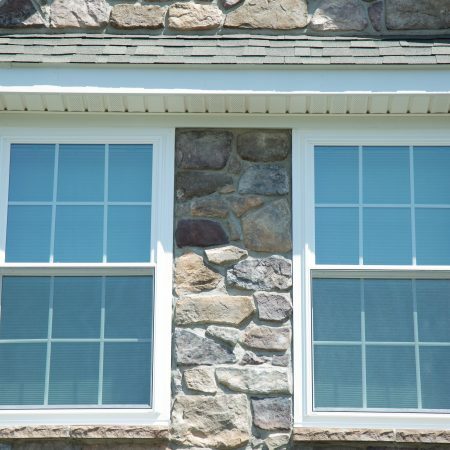 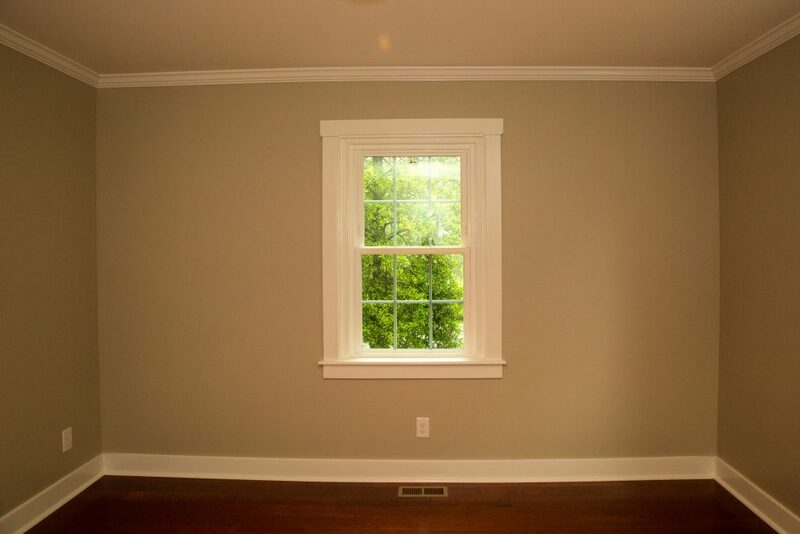 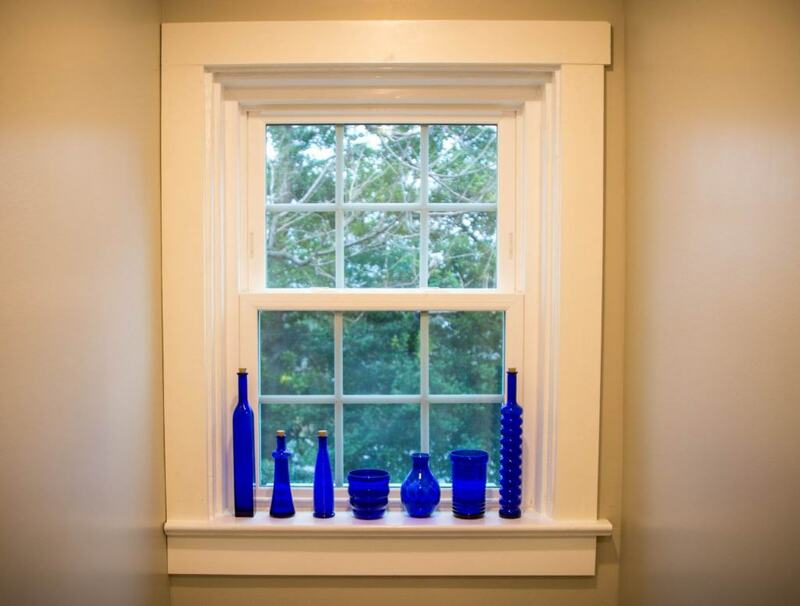 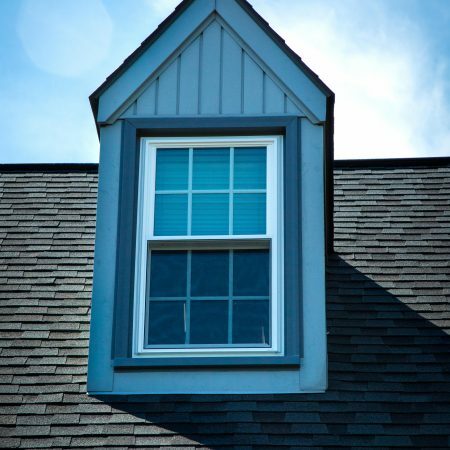 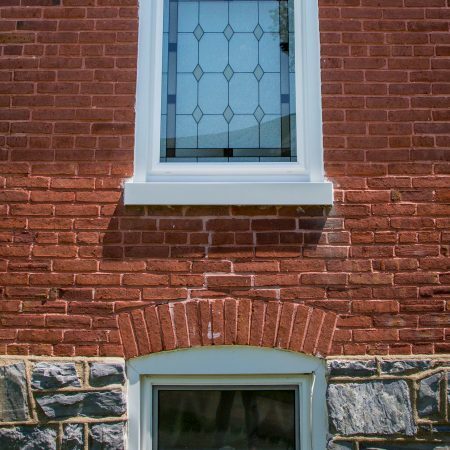 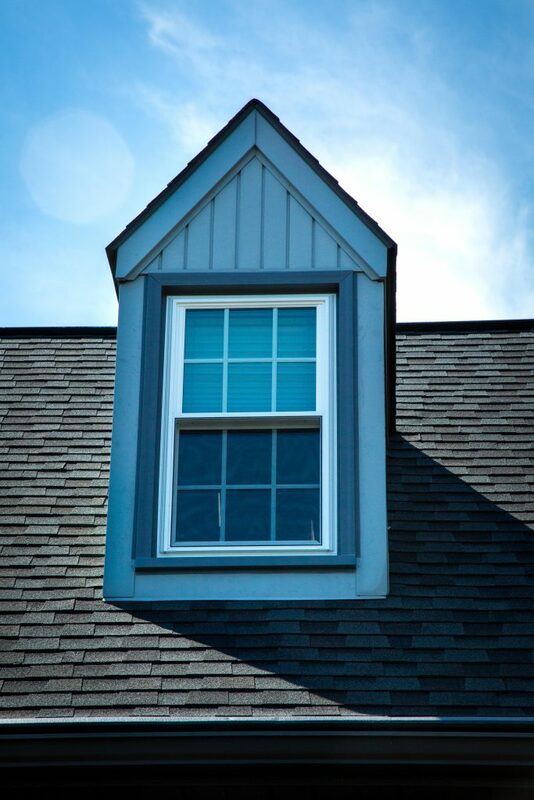 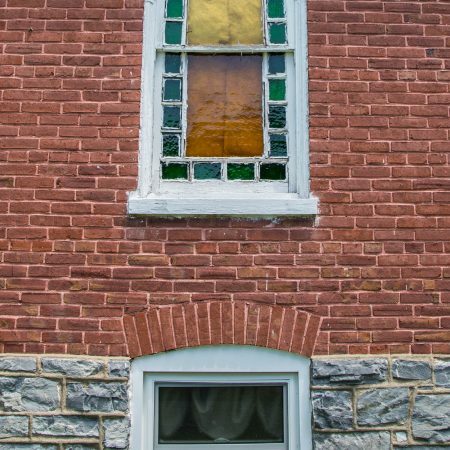 When you’re considering replacement windows, consider the materials, shape, and functionality. 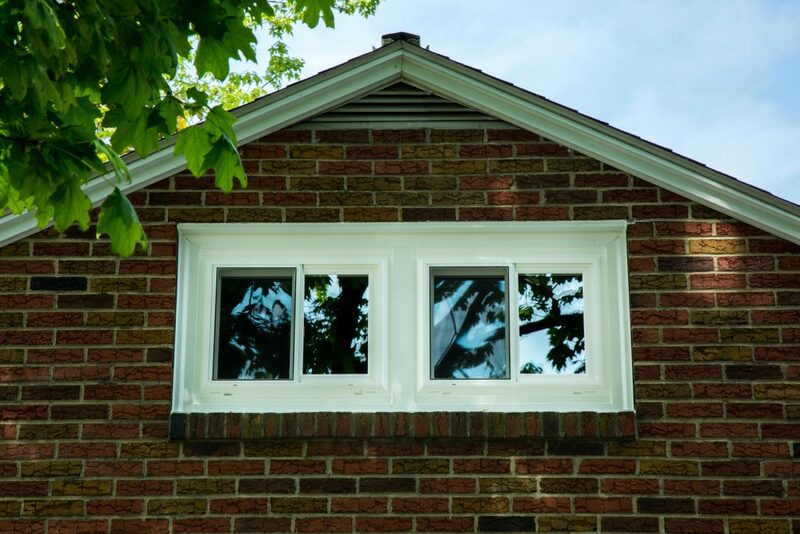 You want to make sure each window makes your home inviting, increases efficiency, and keeps it secure. 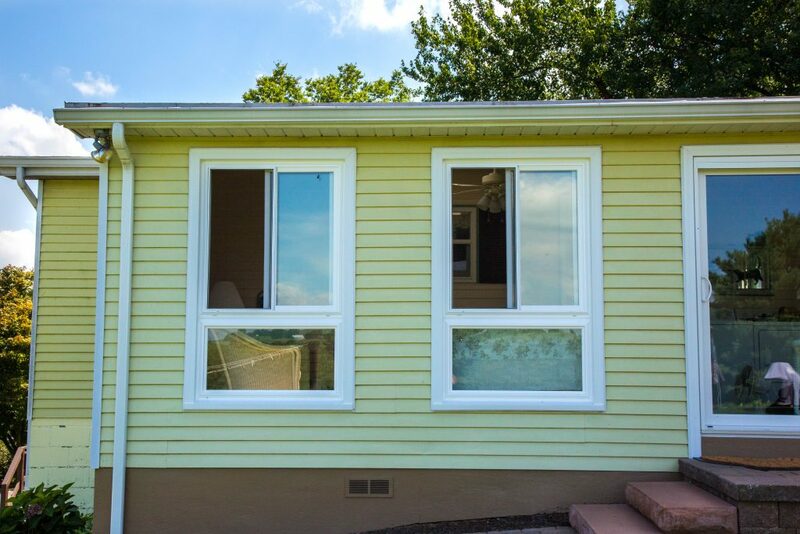 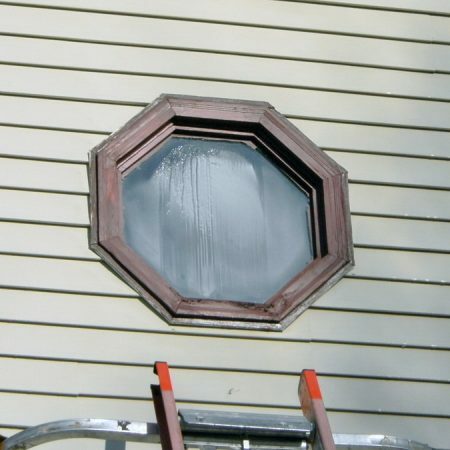 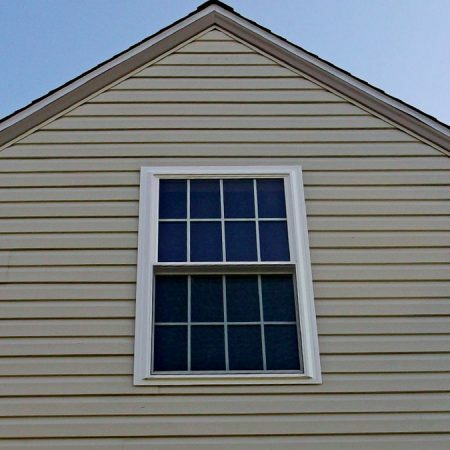 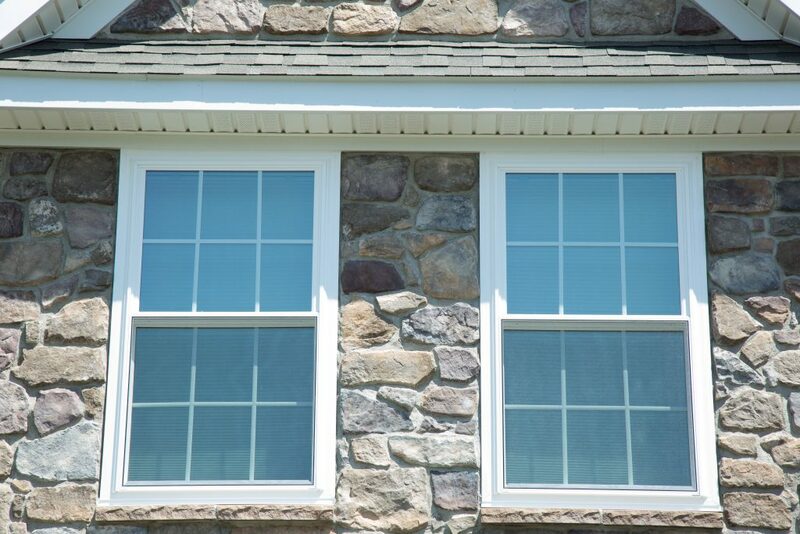 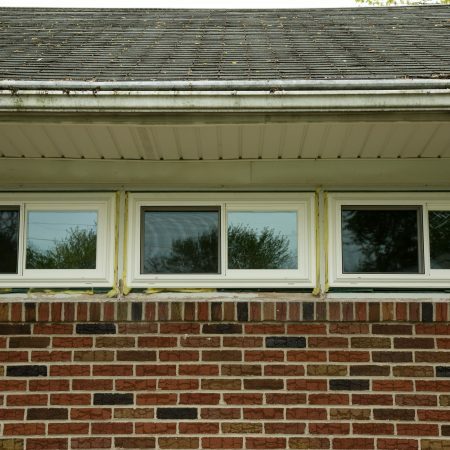 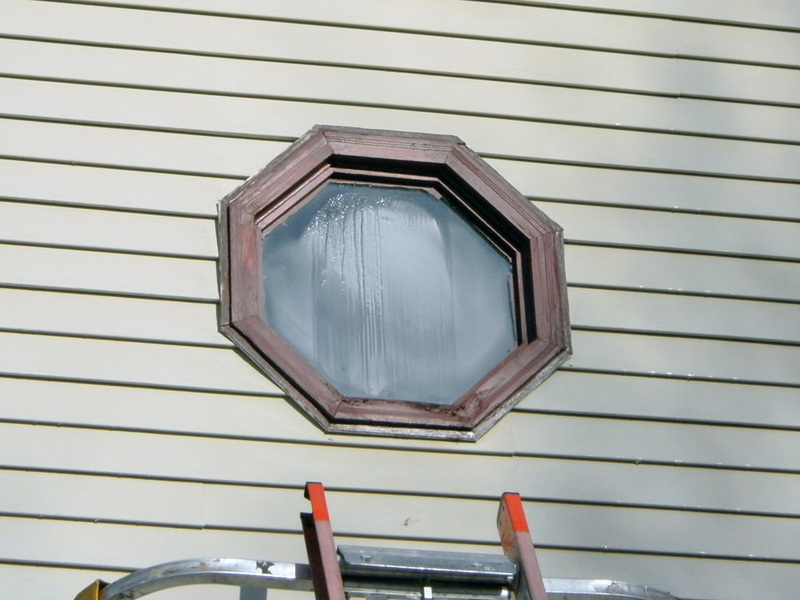 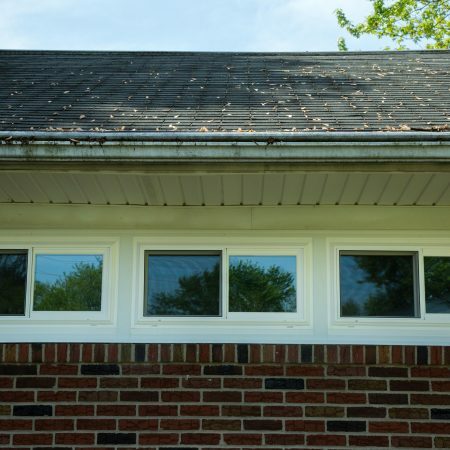 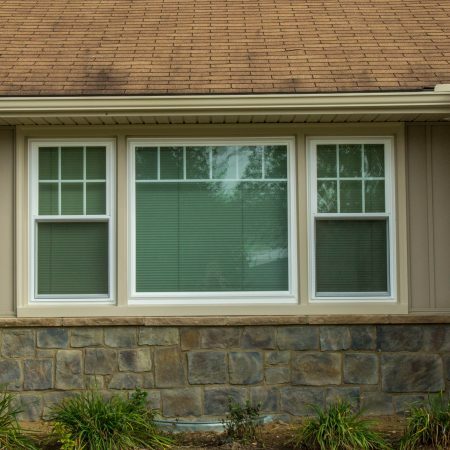 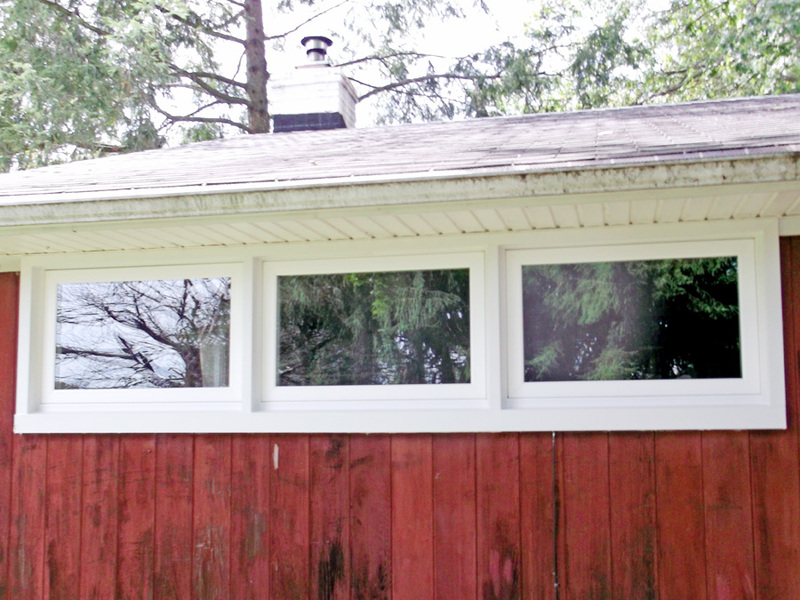 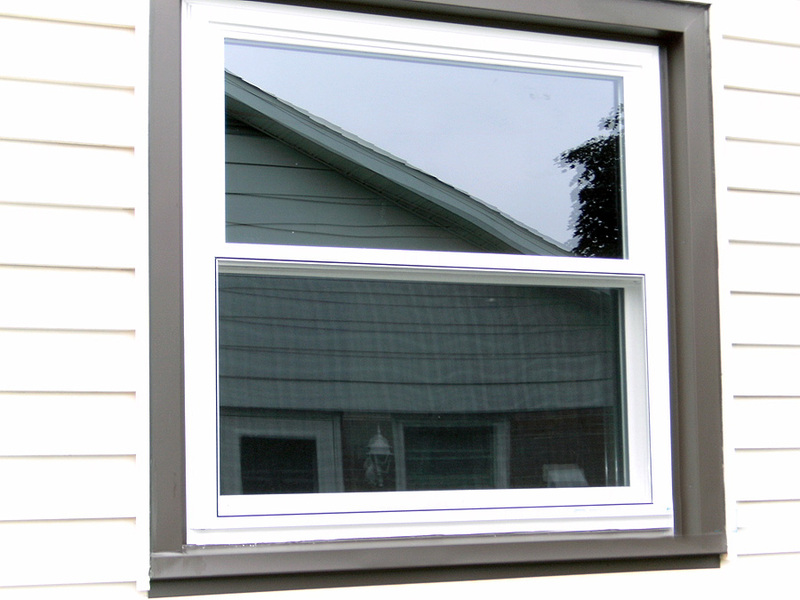 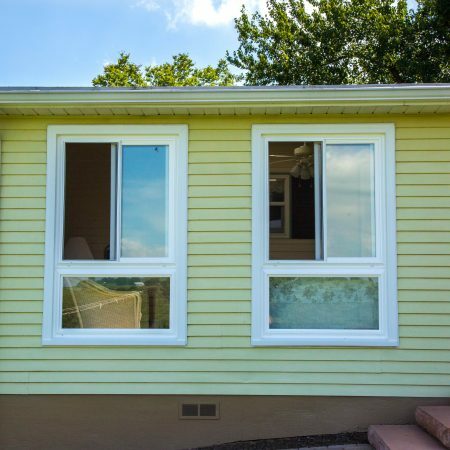 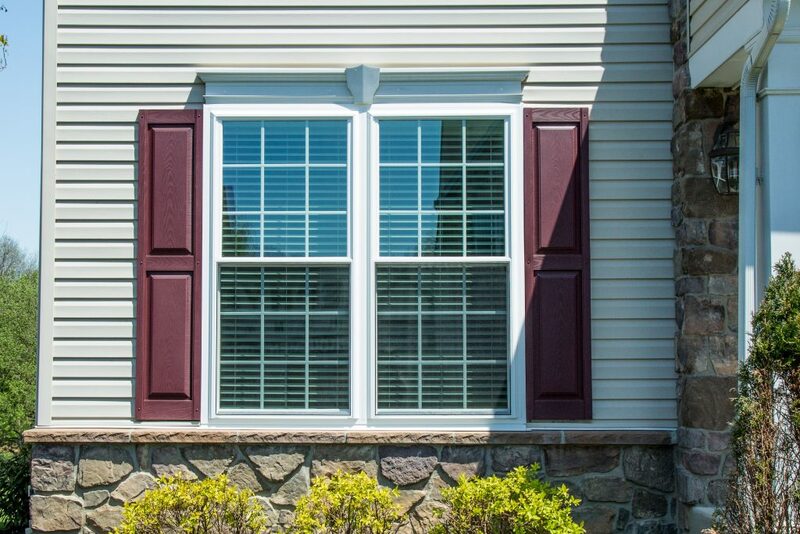 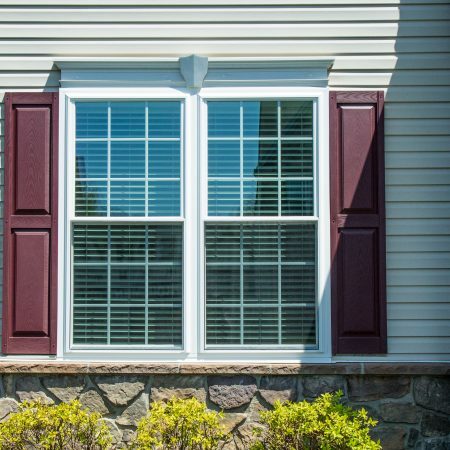 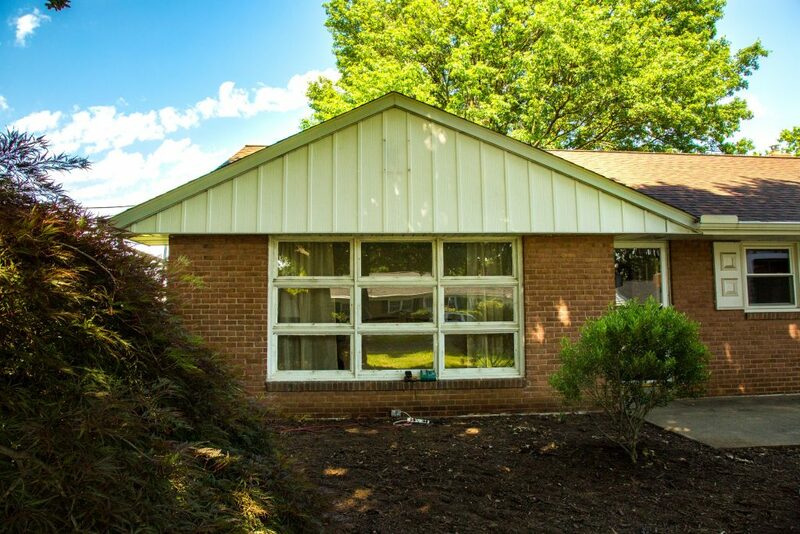 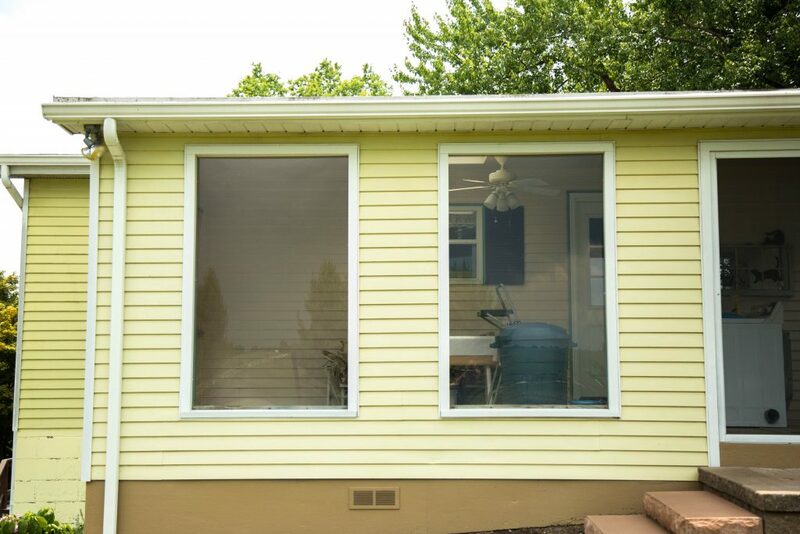 Take a closer look at our vinyl replacement window options! 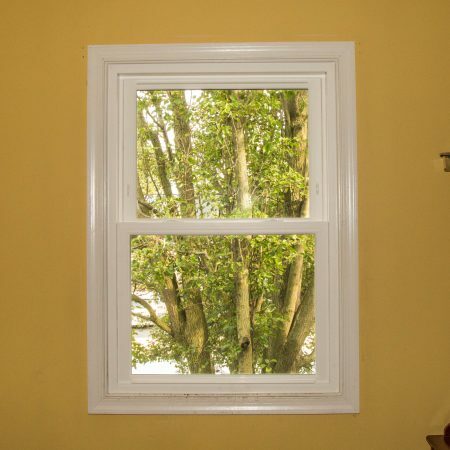 Get one step closer to stunning, durable, and energy efficient windows! 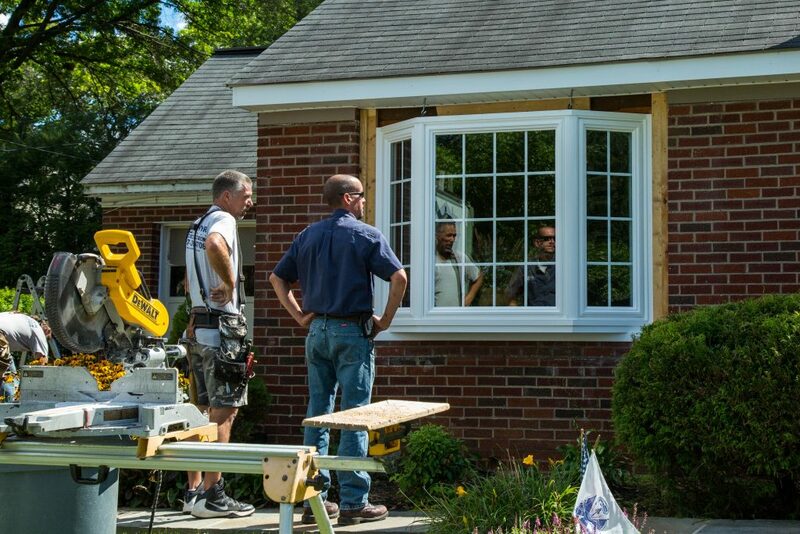 Fill out our form to get started and one of our service professionals will be in touch! 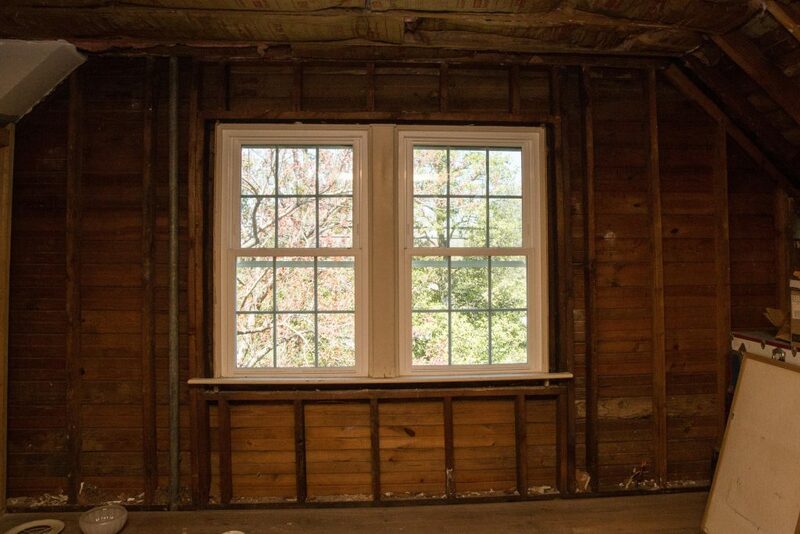 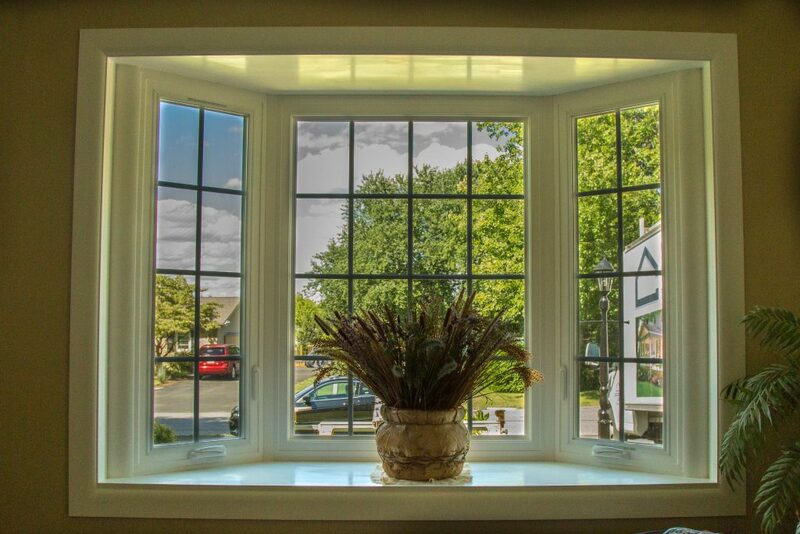 Replace your windows ONE time with Signature’s durable, long lasting windows. 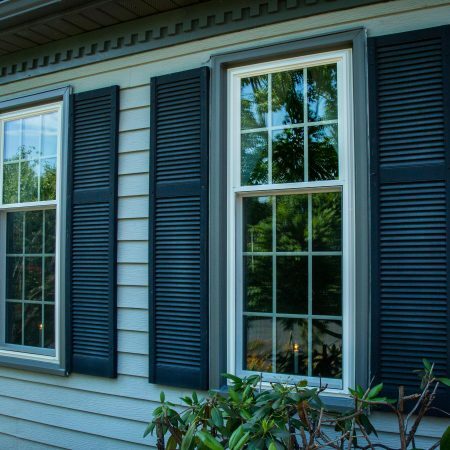 Your choice in new replacement windows not only affects the architectural look of your home but has a major impact on your energy usage and comfort. 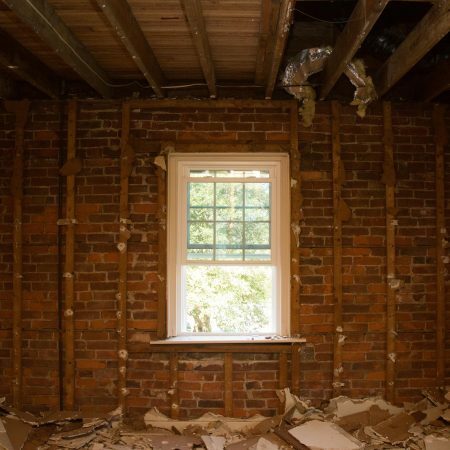 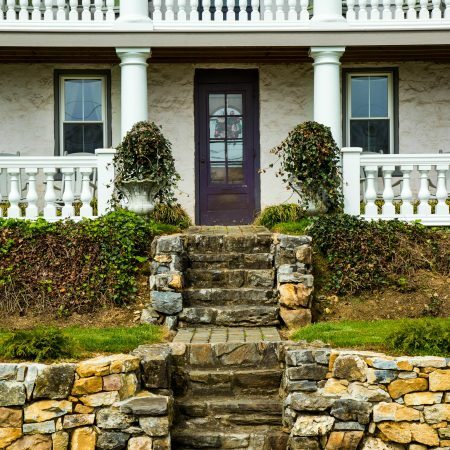 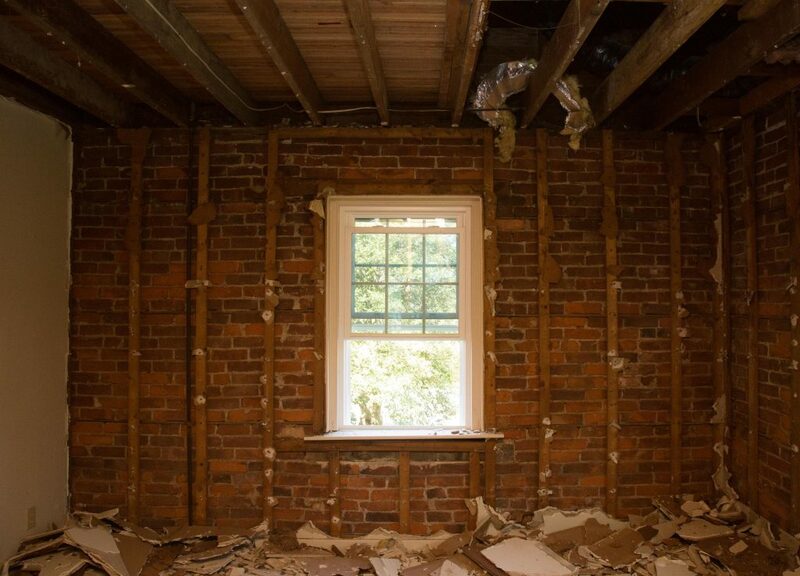 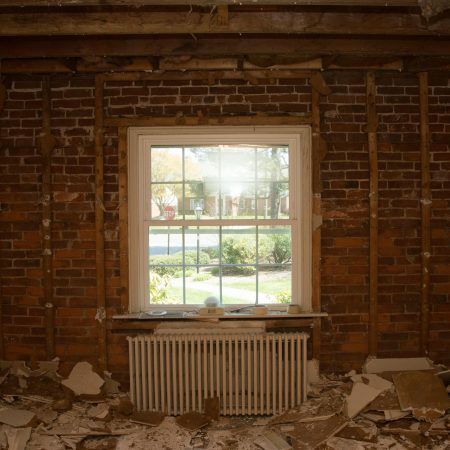 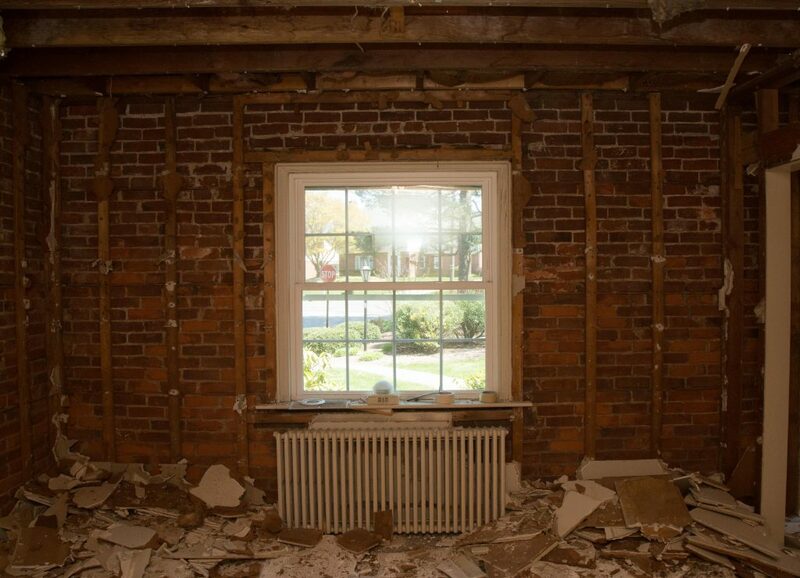 You don’t need to sacrifice strength at these critical barriers to your home. 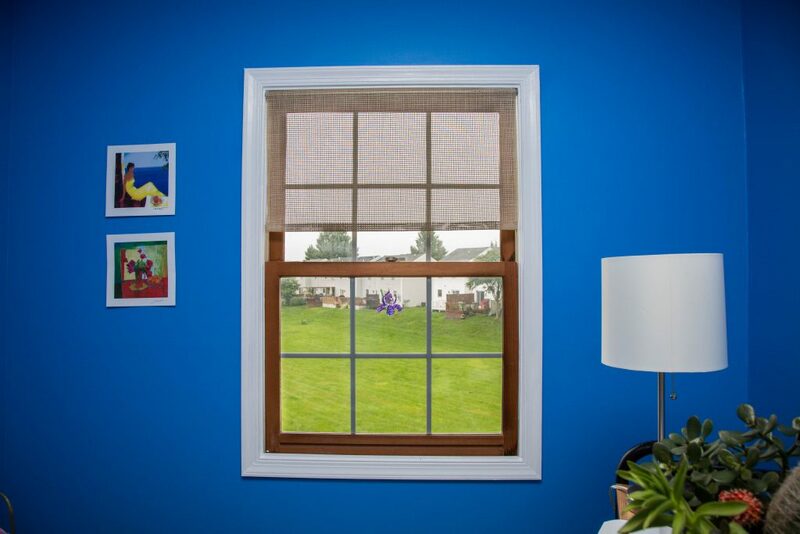 Zephyr Thomas offers the most technologically advanced materials for maximized strength against harsh weather, intrusion, and health hazards. 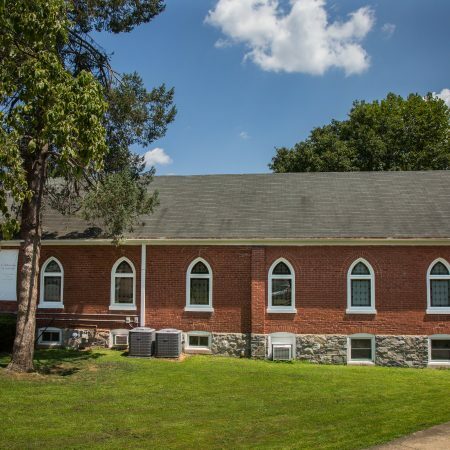 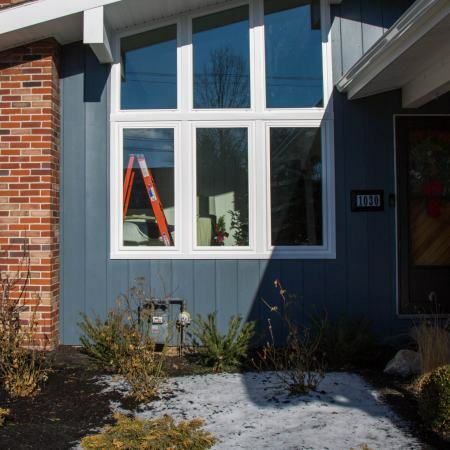 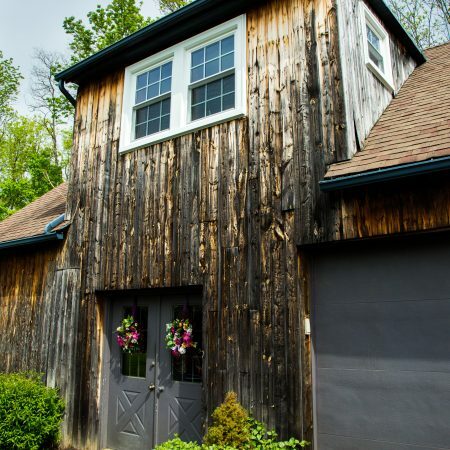 If you are looking for vinyl replacement windows in Lancaster, you should know that all of our windows are Energy Star® and National Fenestration Rating Council (NFRC) certified. 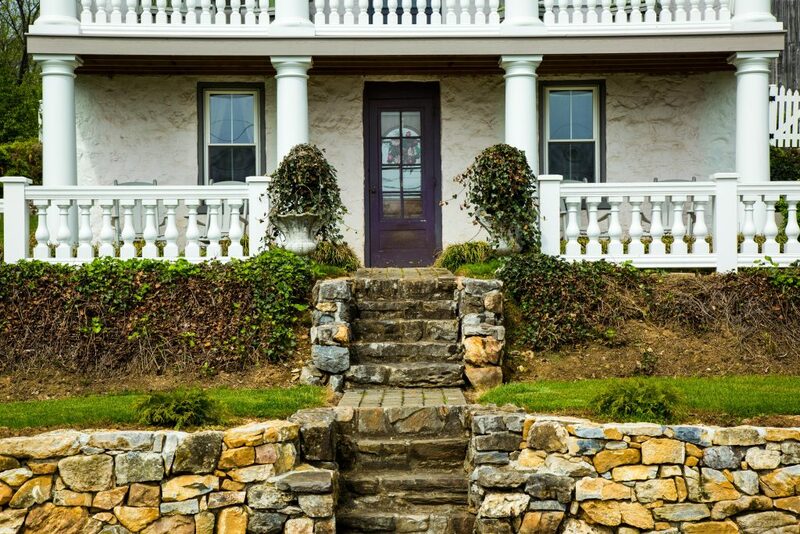 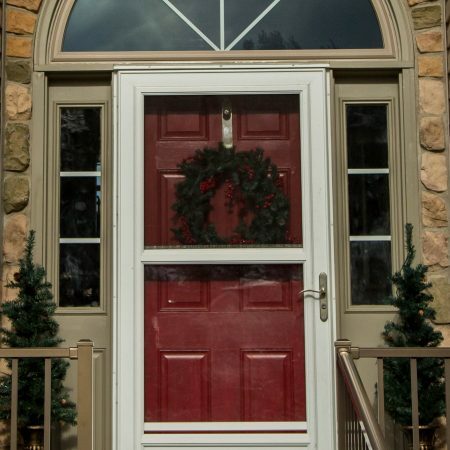 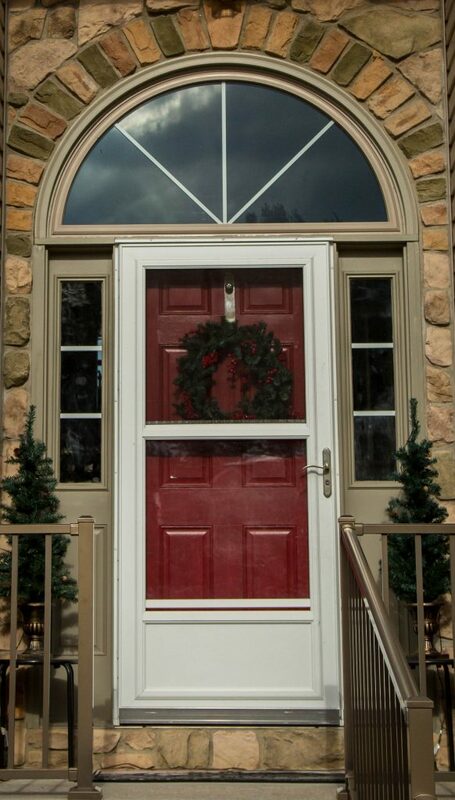 Zephyr Thomas also carries the finest fiberglass entry doors Lancaster PA has to offer, so check out our door selection as well! 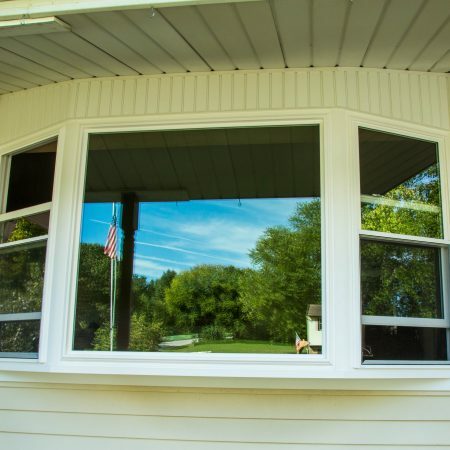 Why should I consider Signature windows? 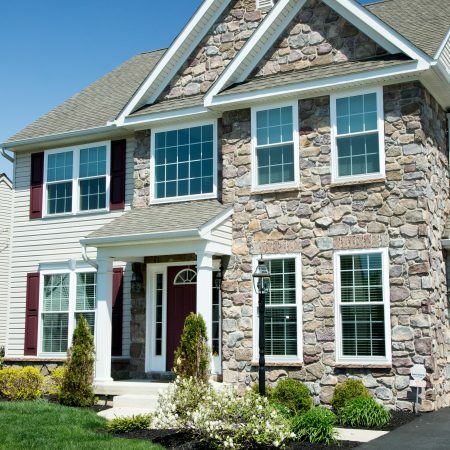 Simply put, Signature will work hard for you and perform beyond your expectations. 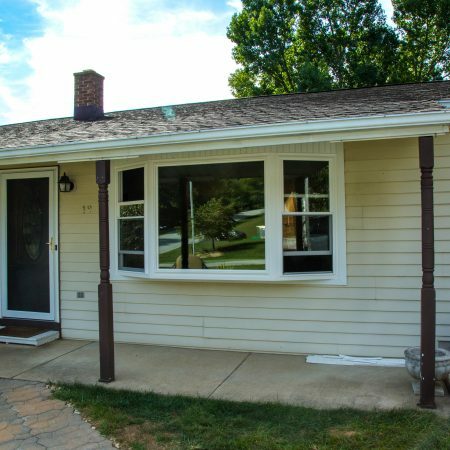 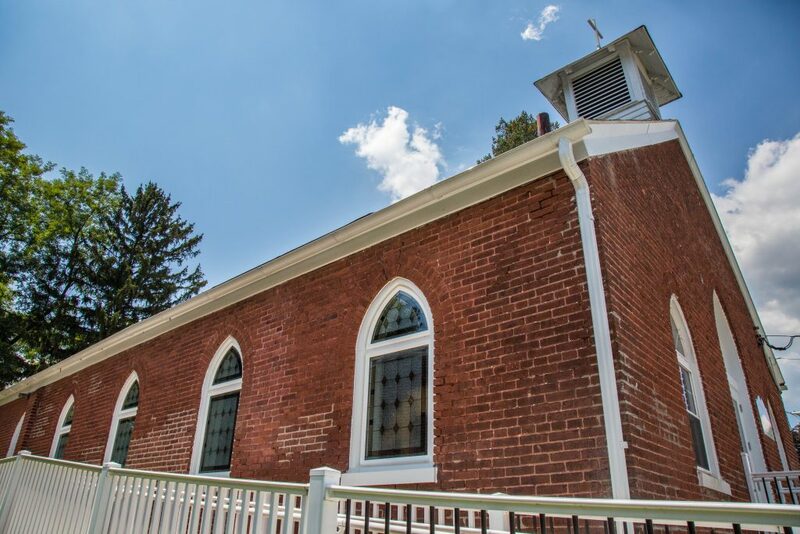 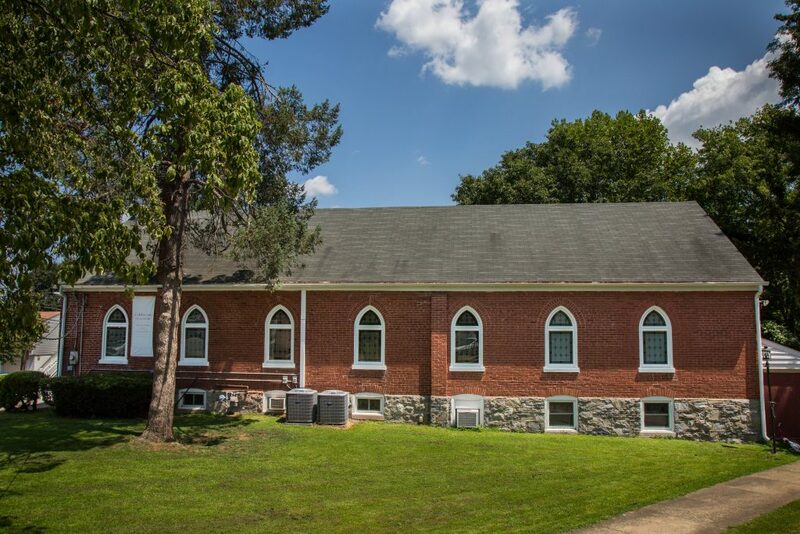 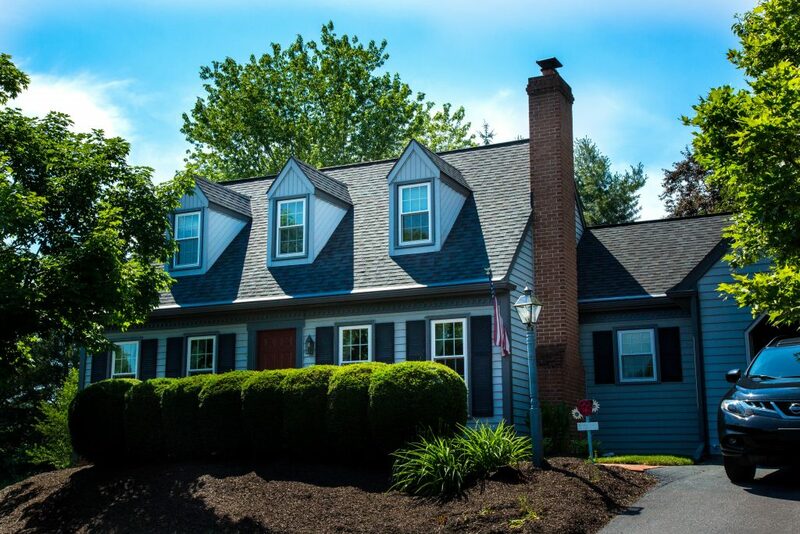 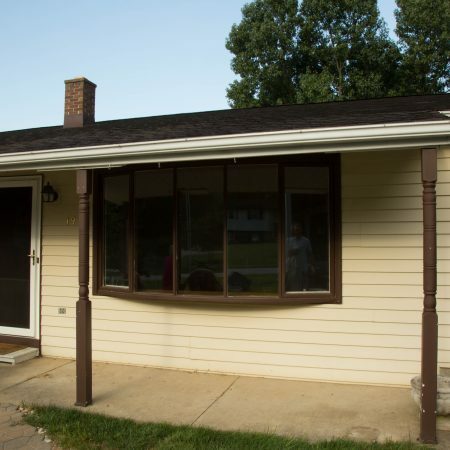 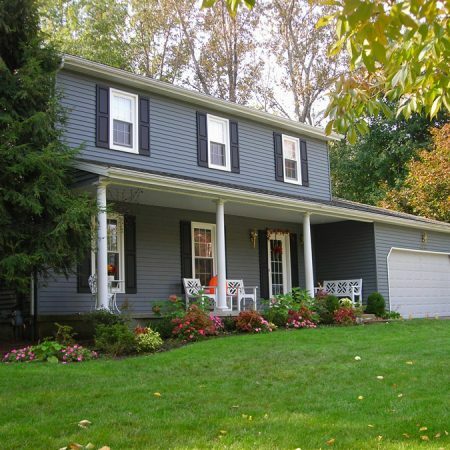 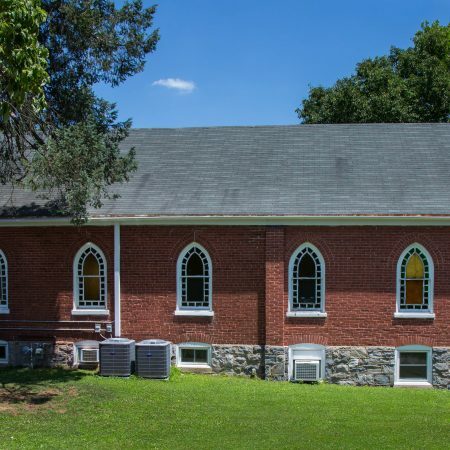 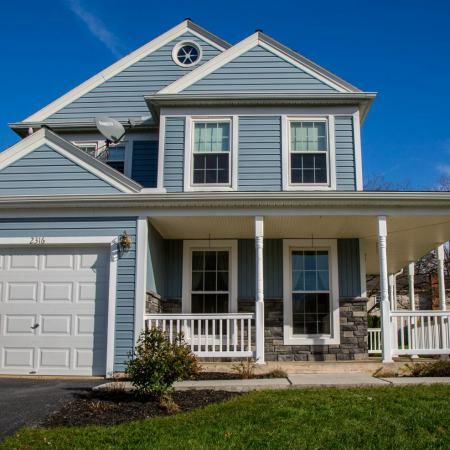 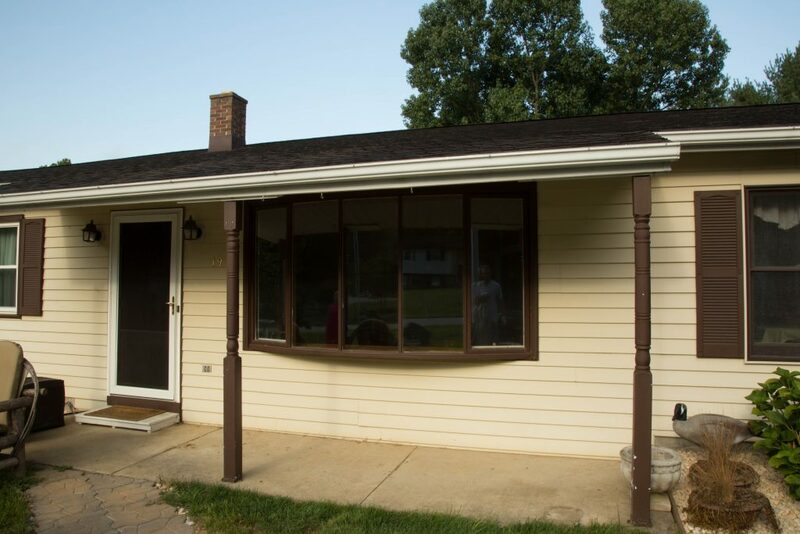 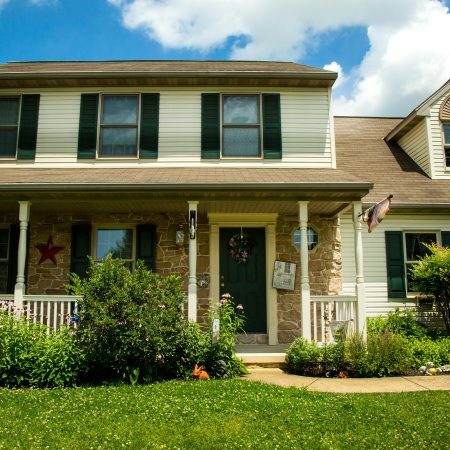 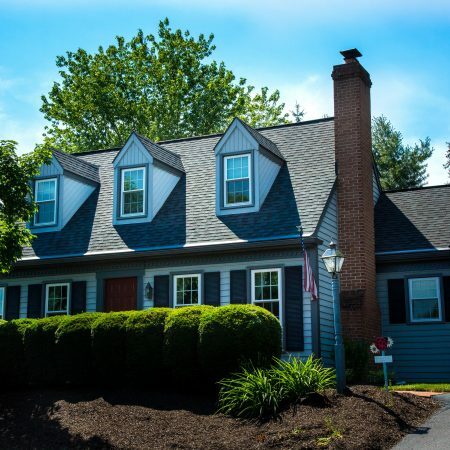 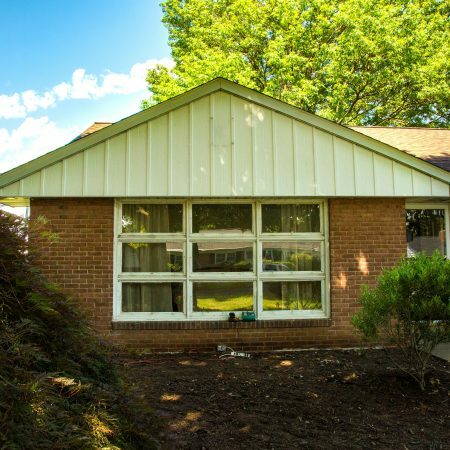 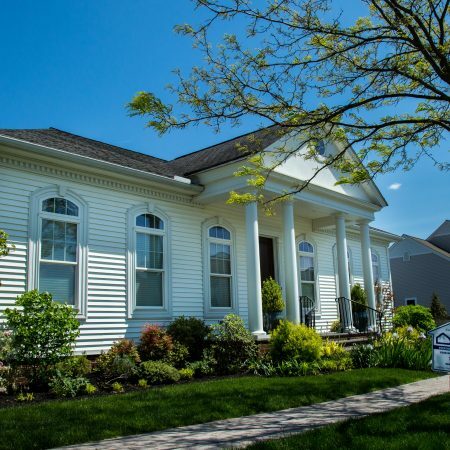 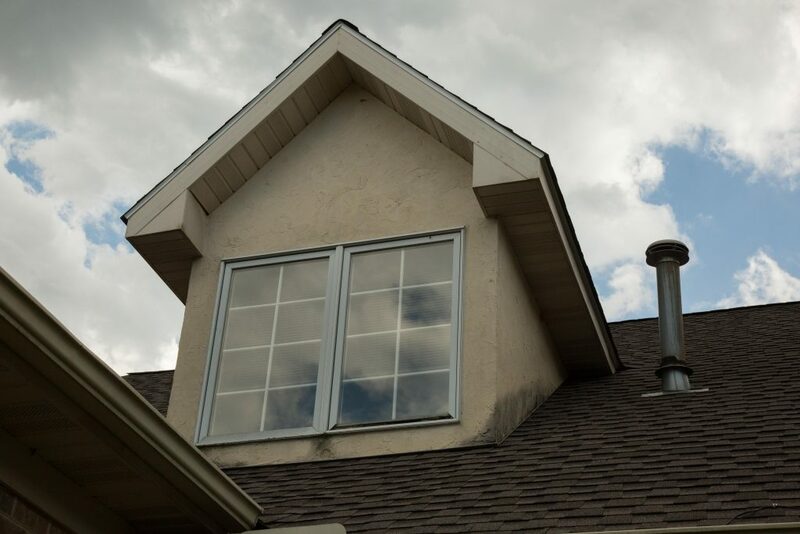 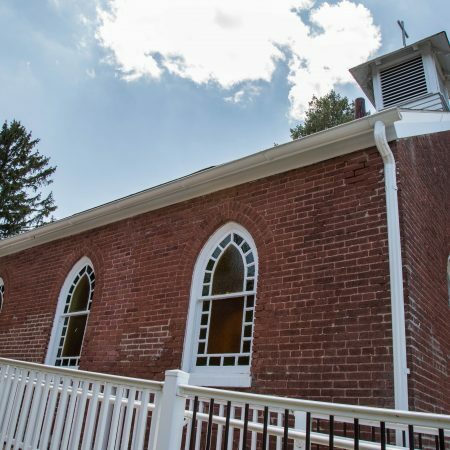 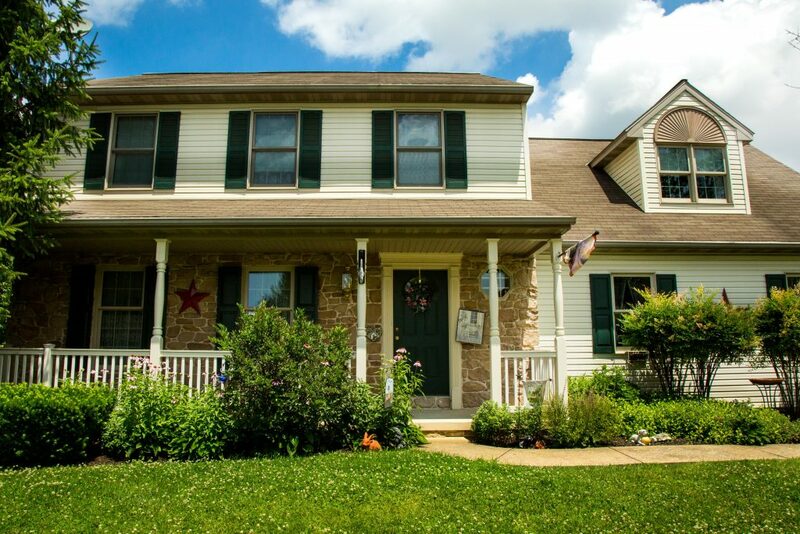 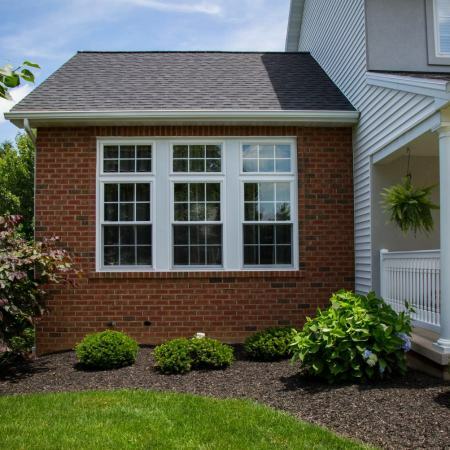 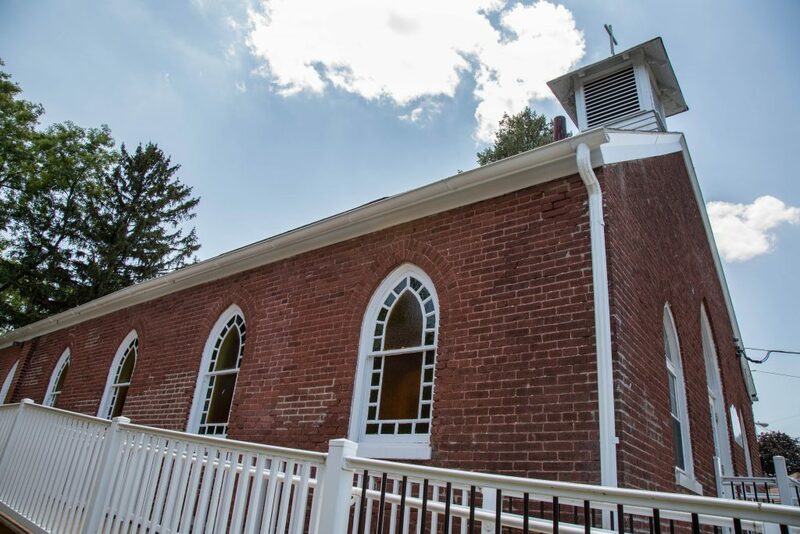 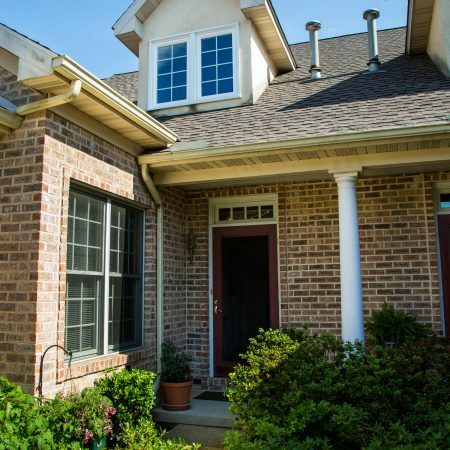 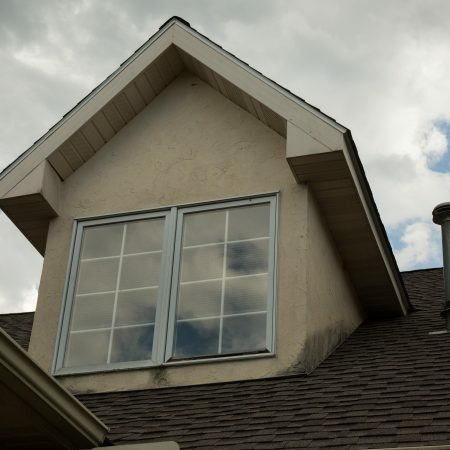 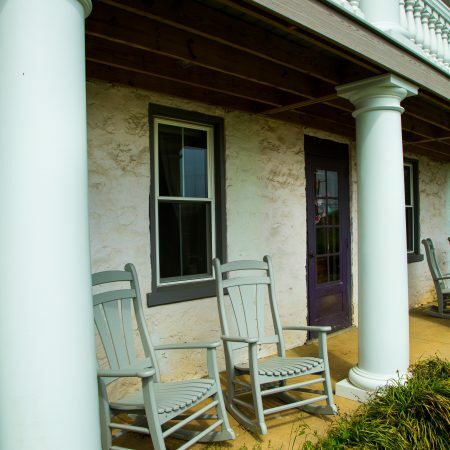 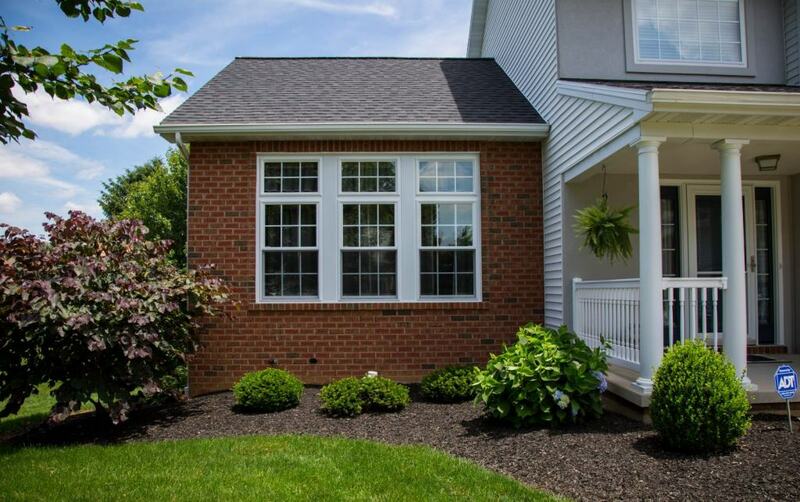 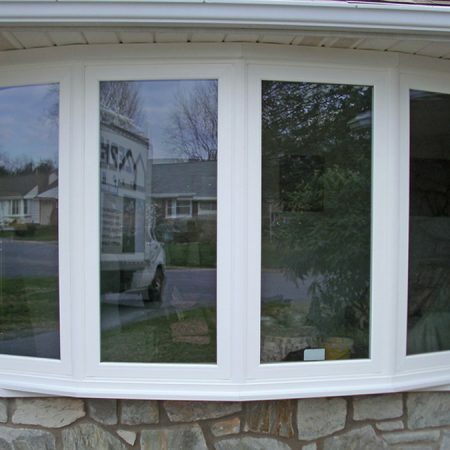 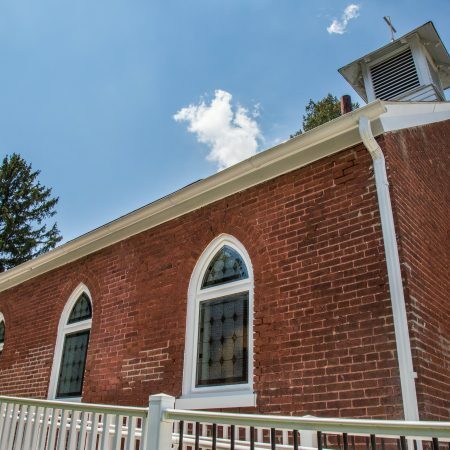 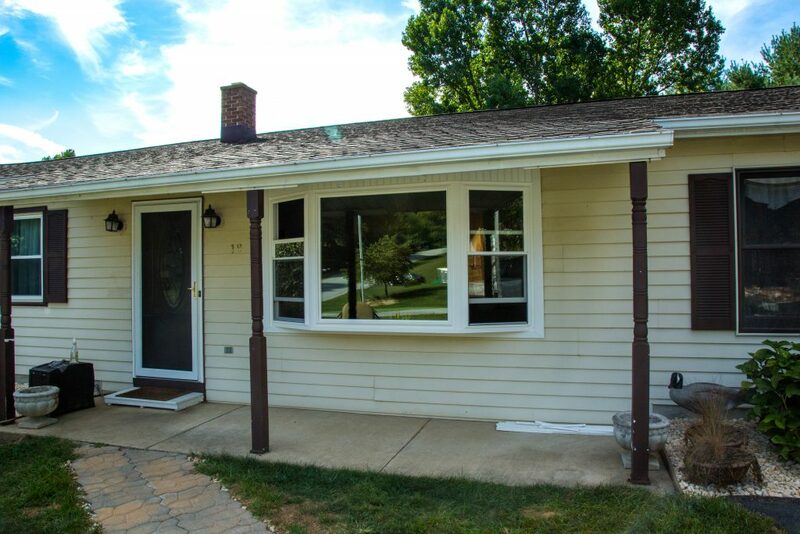 So when searching for replacement windows in Lancaster, PA, you will find it is the most sensible window solution for your Lancaster area home. 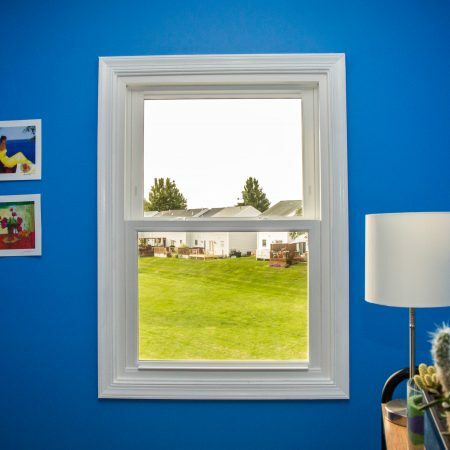 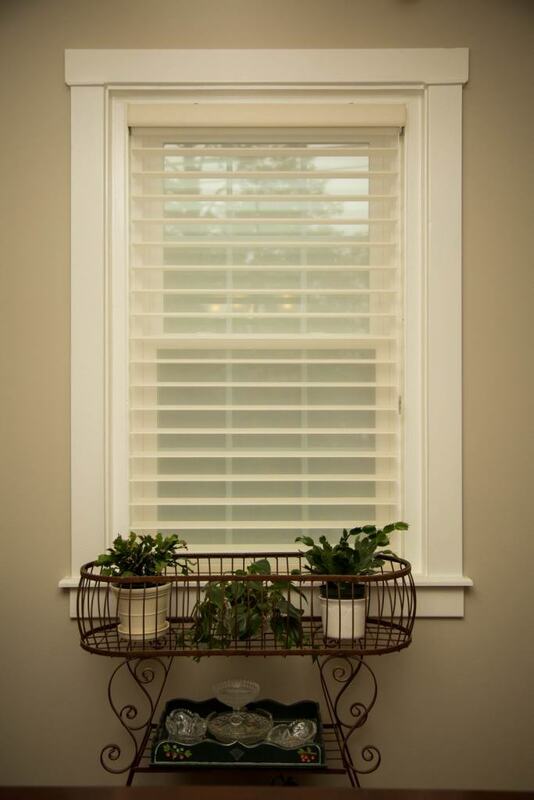 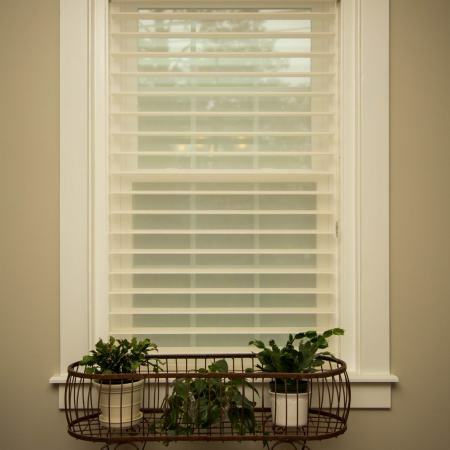 You may be looking for a window equipped with advanced engineering that offers exceptional energy performance, safety and security, virtually maintenance-free enjoyment, ease of operation, or elegant refinement. 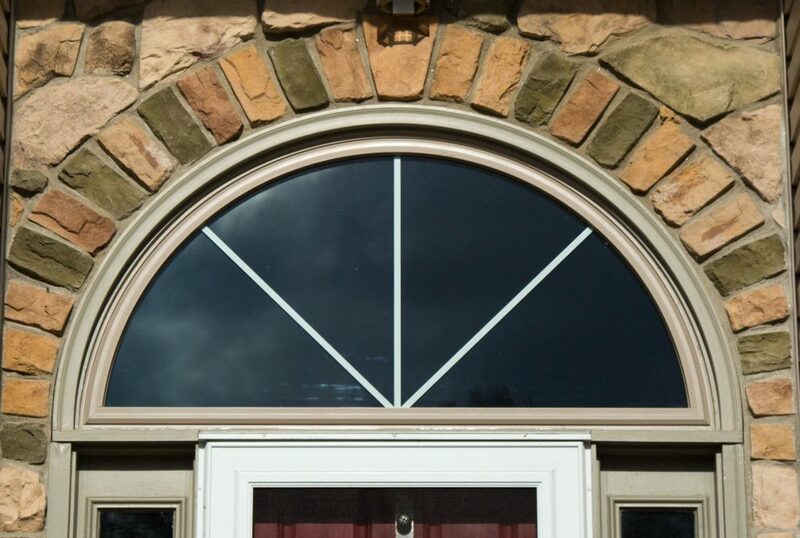 Signature incorporates ALL of these important elements into one window. 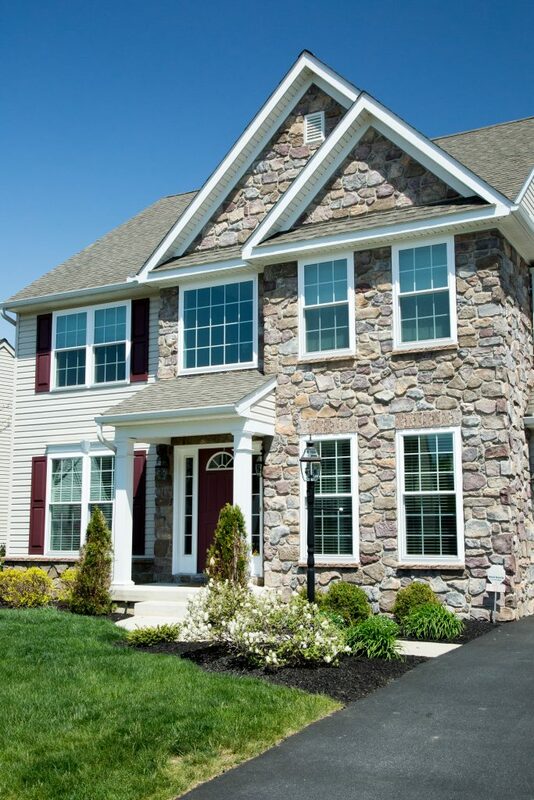 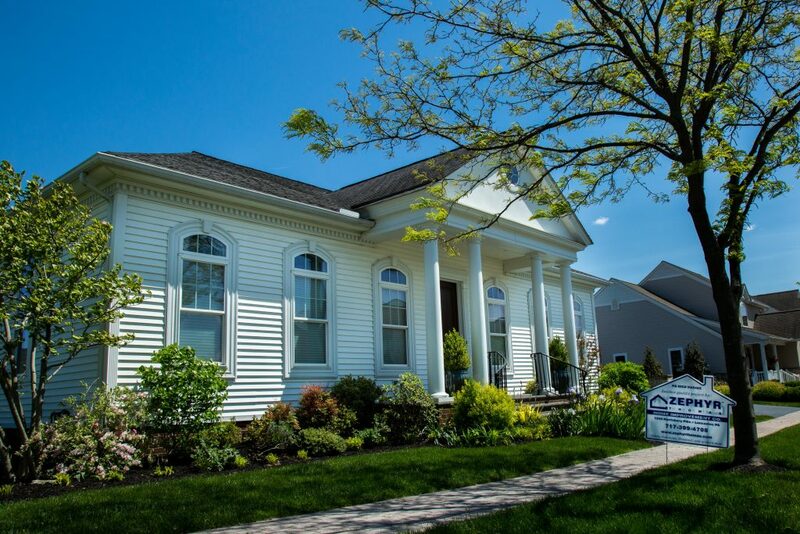 Zephyr Thomas is your authorized Lancaster windows dealer for Signature. 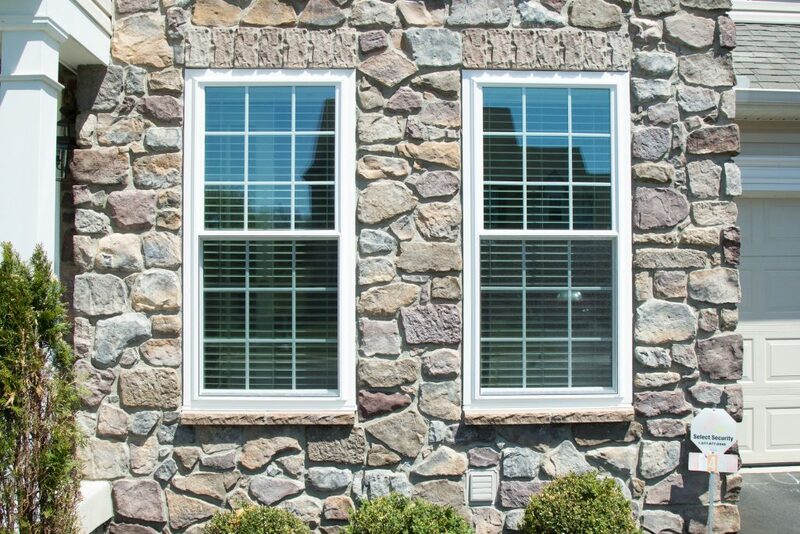 Signature is the superior window choice for your family, home, lifestyle, and budget. 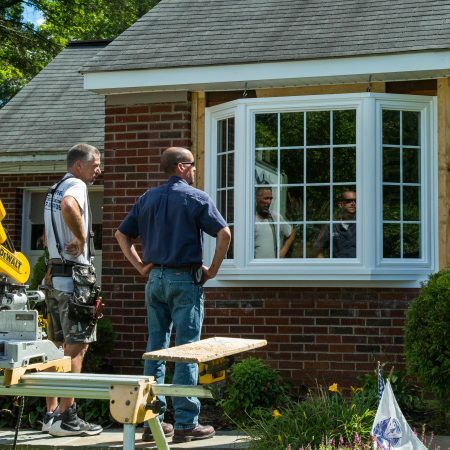 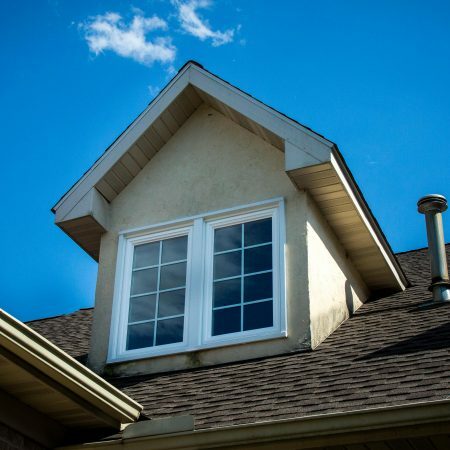 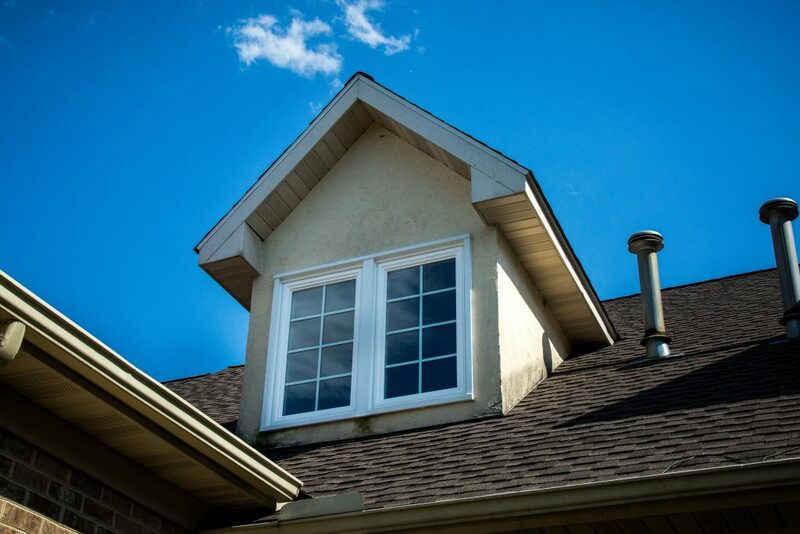 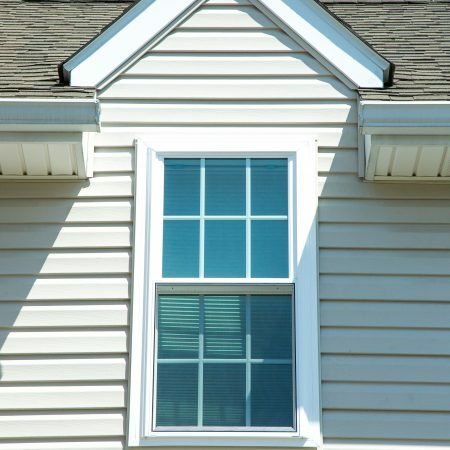 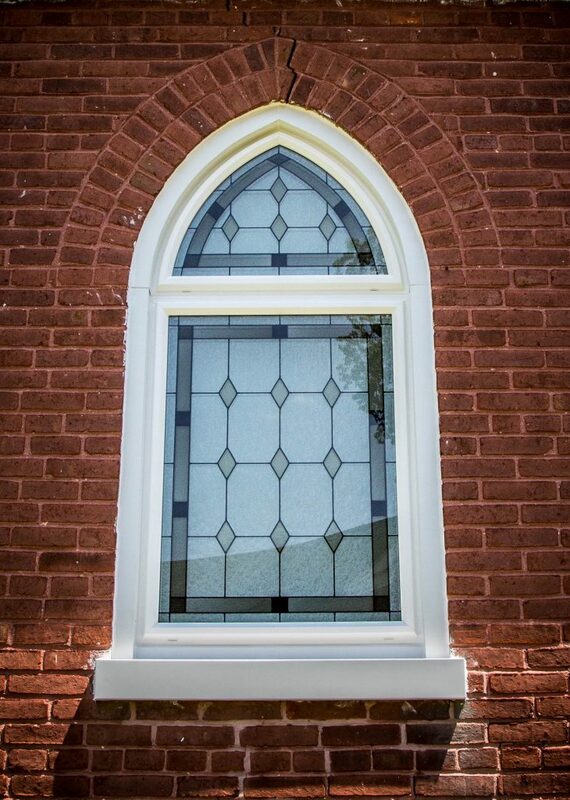 A bay window consists of three window segments that project out from the wall to the outside at a sharp angle, most often either 30, 45, or 90 degrees. 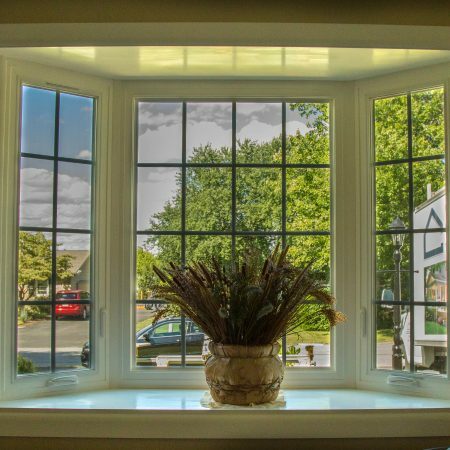 A bay window can consist of a number of different configurations. 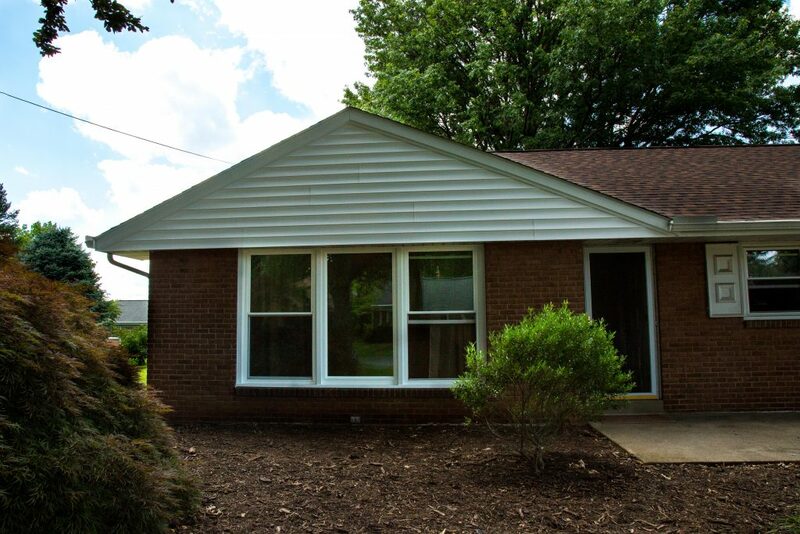 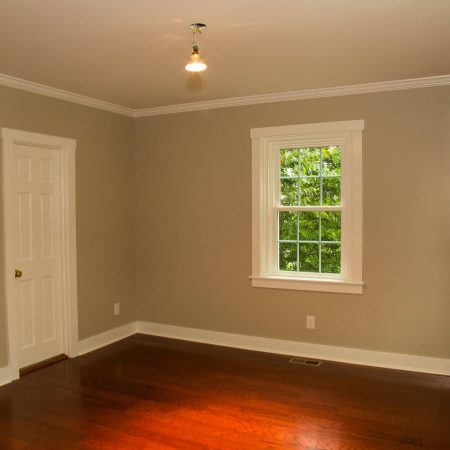 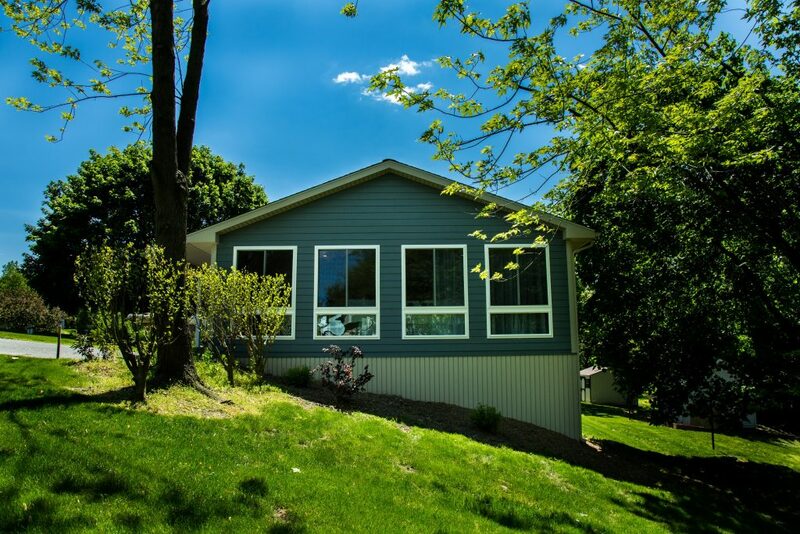 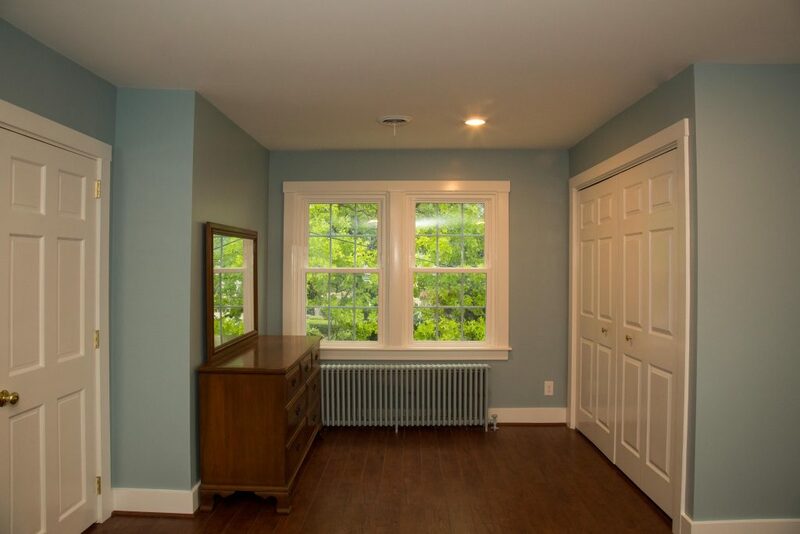 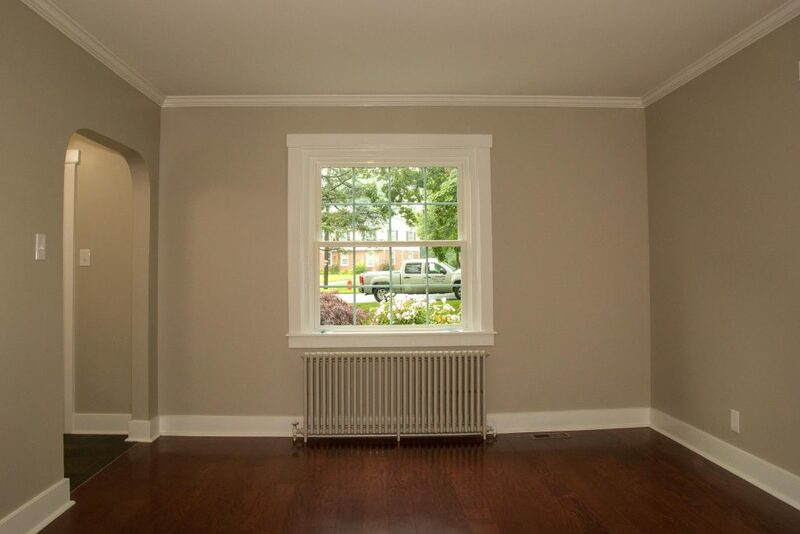 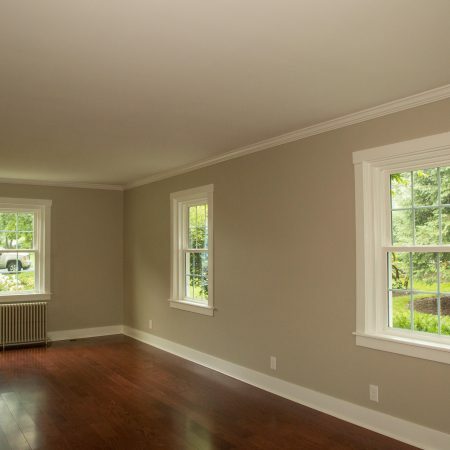 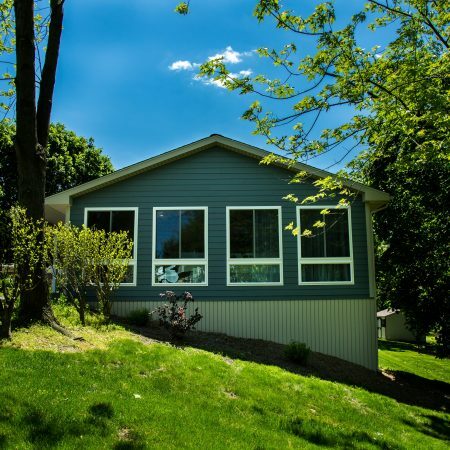 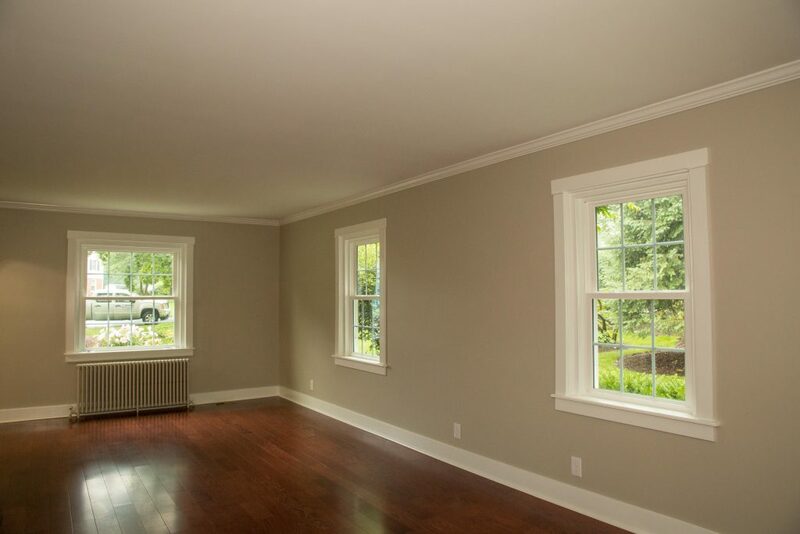 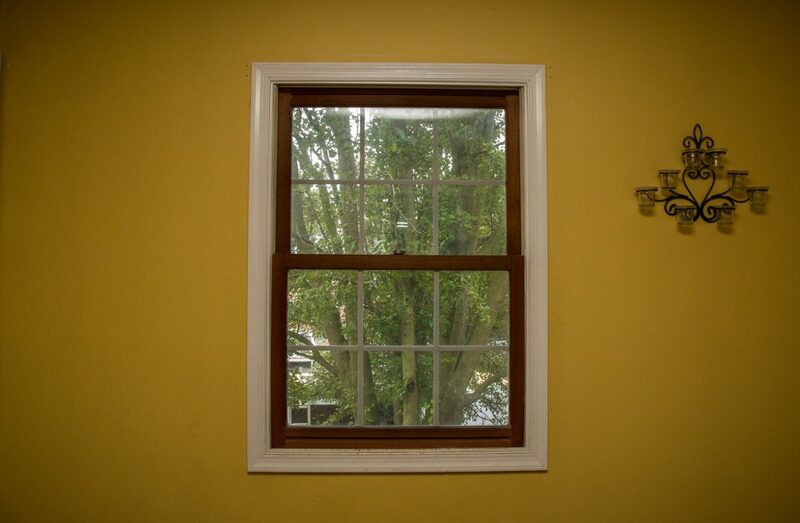 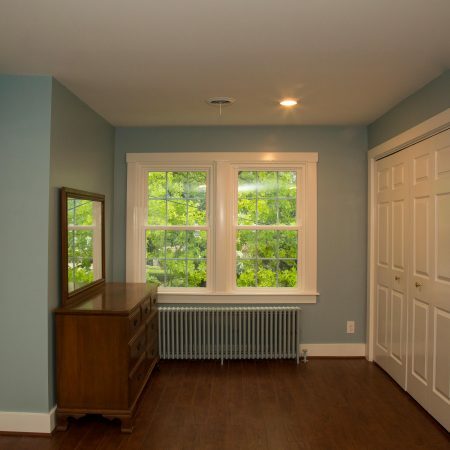 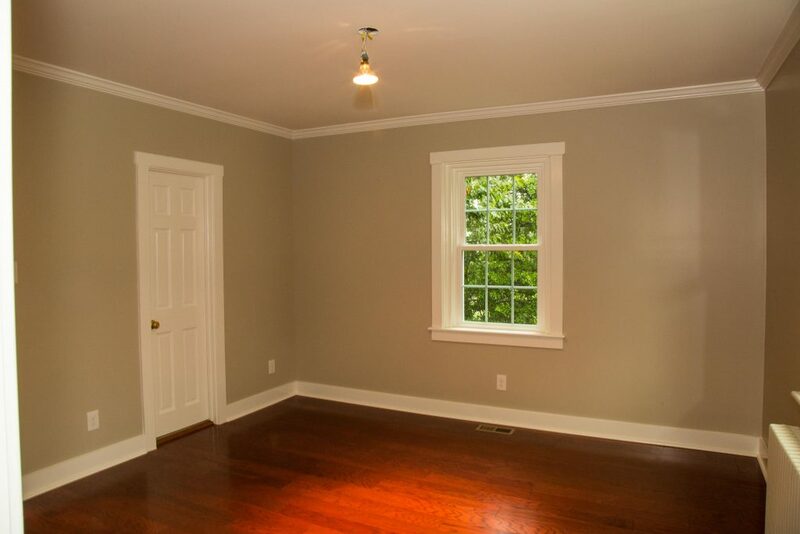 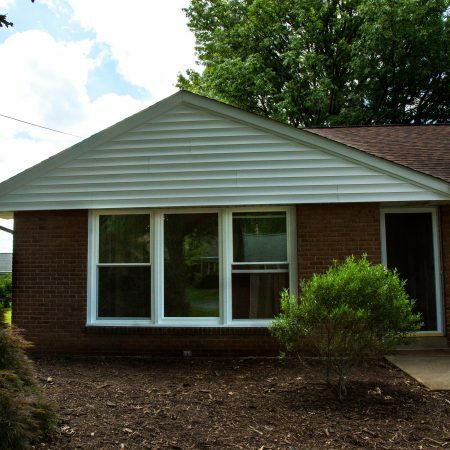 The most common is a quarter half quarter layout with a picture window as the center window and either casement or double hung windows as the end windows. 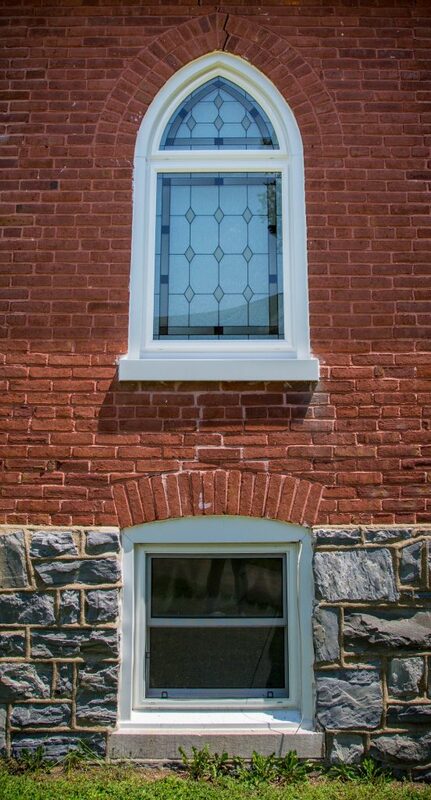 We call these end windows “flankers”. 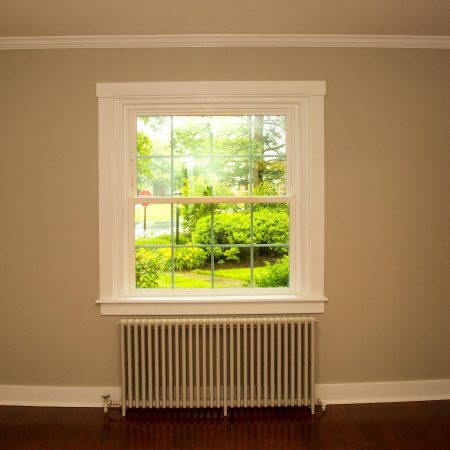 Bay windows typically have a wider sill, called a seatboard, which can be a wonderful little nook for any number of décor ideas. 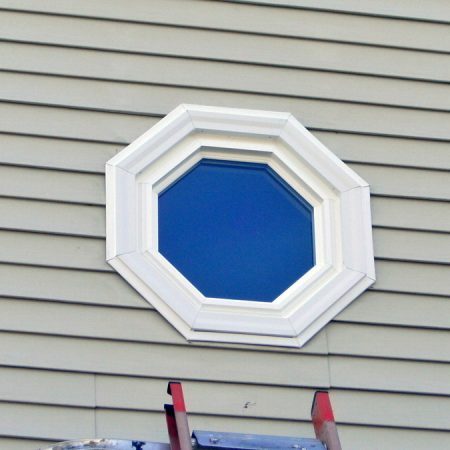 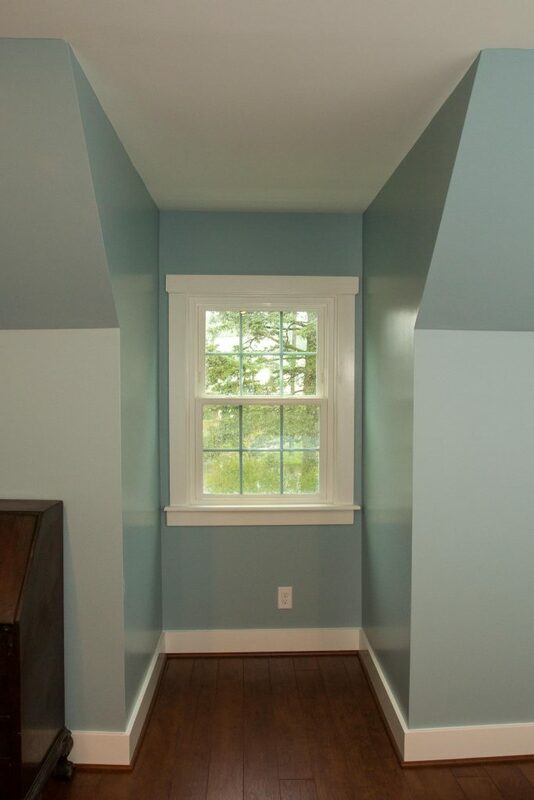 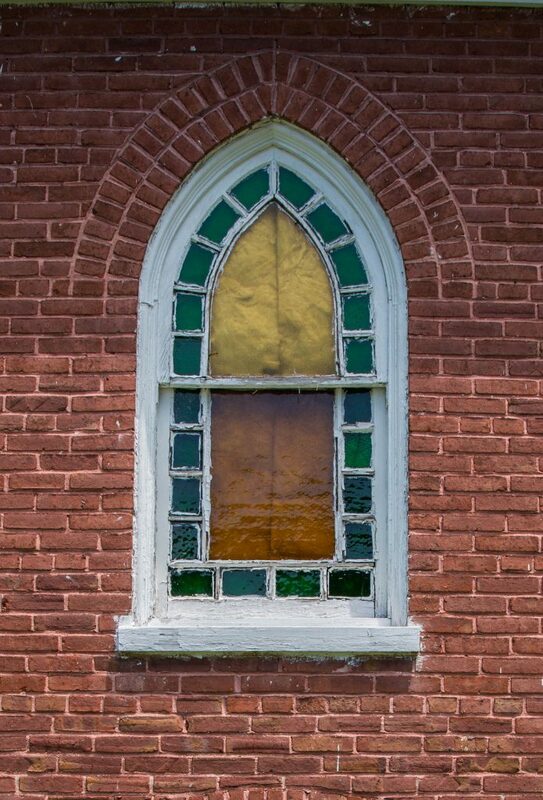 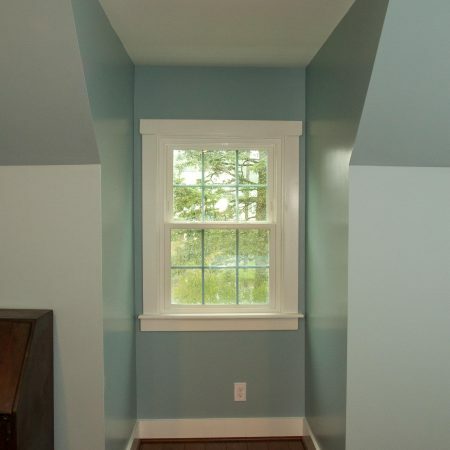 A bow window is similar to a bay window in that it also projects out from the wall to the outside. 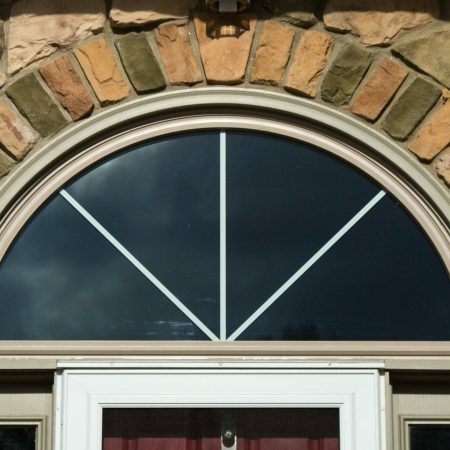 However, a bow window curves instead of being at an angle. 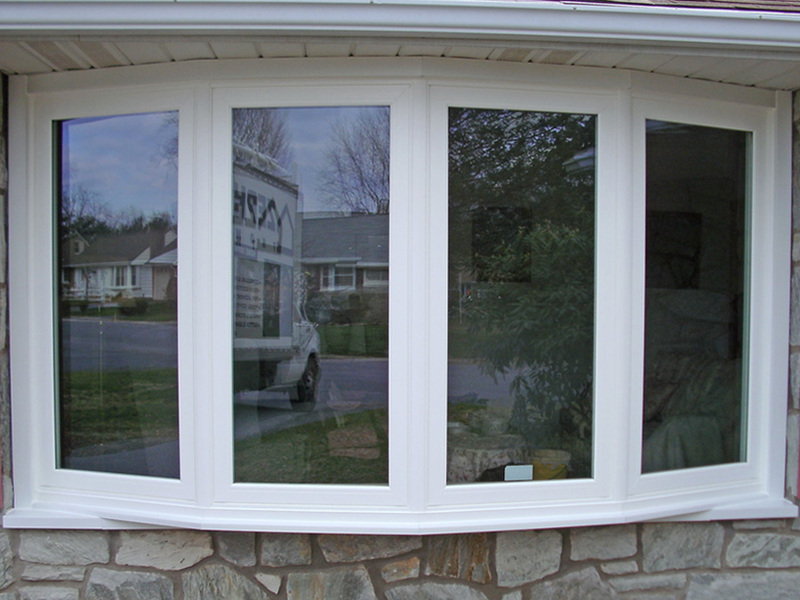 A bow window can consist of several different configurations. 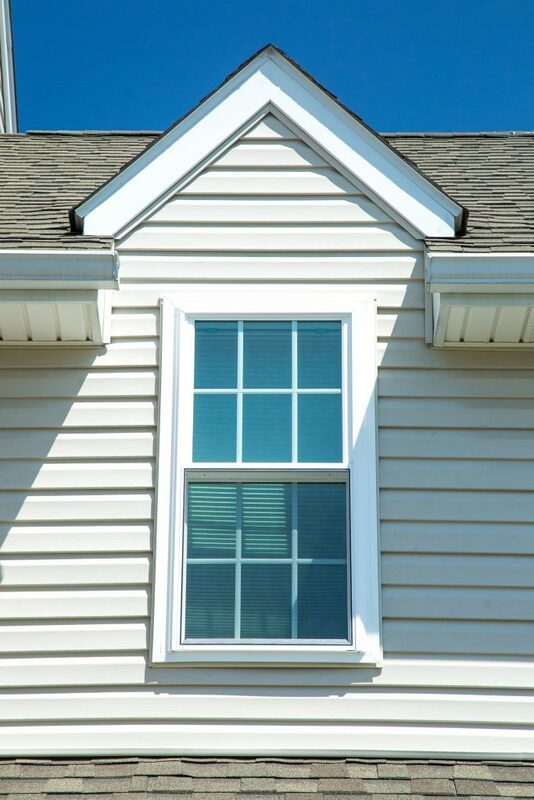 Bow windows are divided into even sections, called lites. 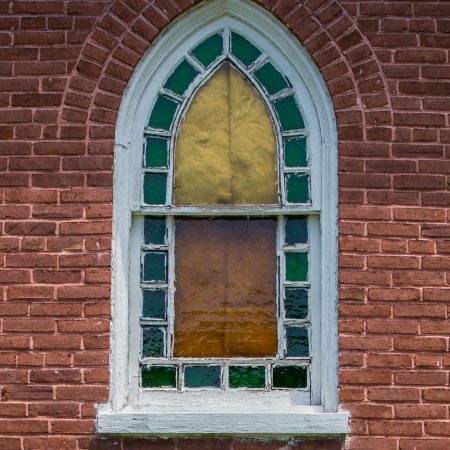 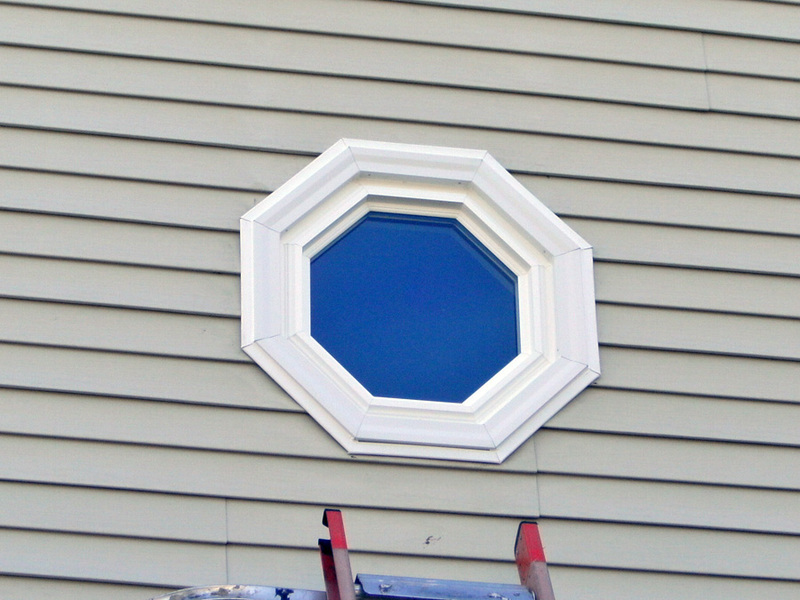 The most common types are 3-lite, 4-lite and 5-lite bow windows. 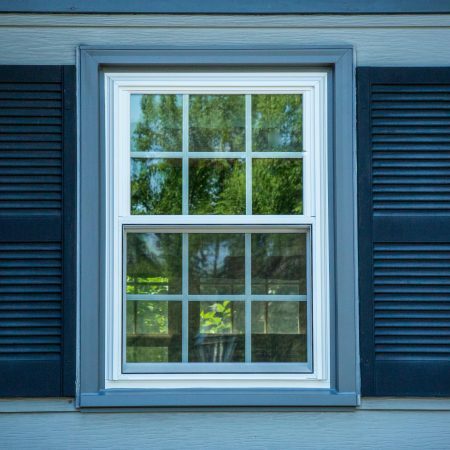 The operating lites are typically casement or double hung windows and the fixed lites are either picture windows or fixed casement windows. 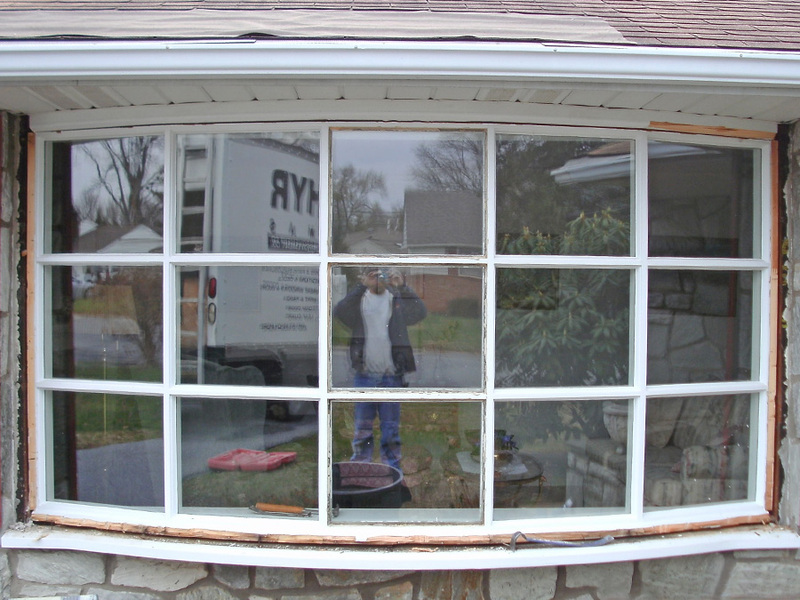 The end windows, or flankers, typically operate or all the windows can be fixed picture windows. 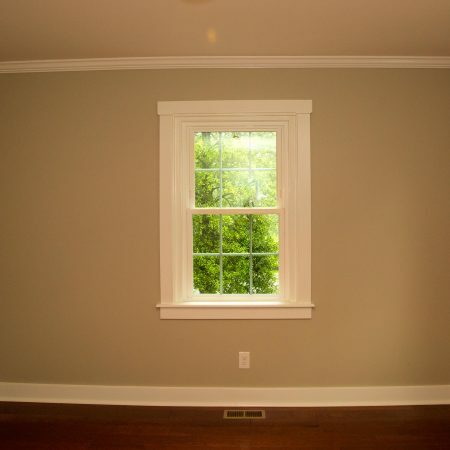 A bow window also has a window sill, like a bay window. 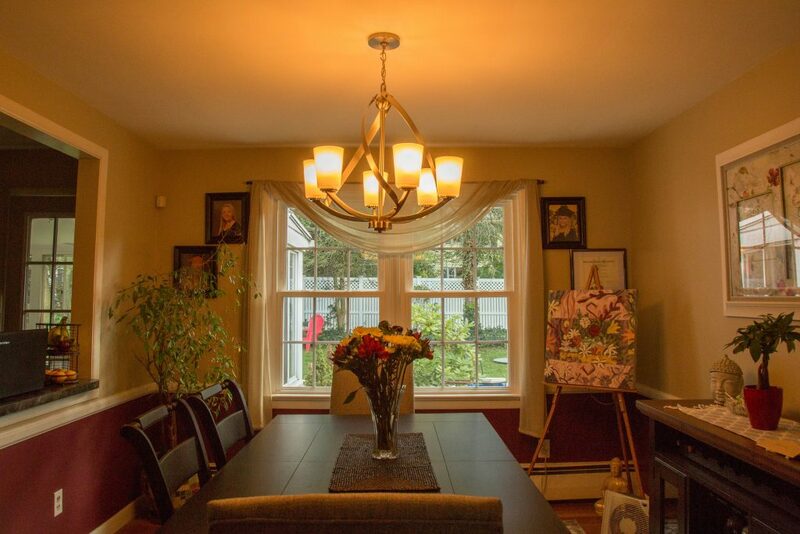 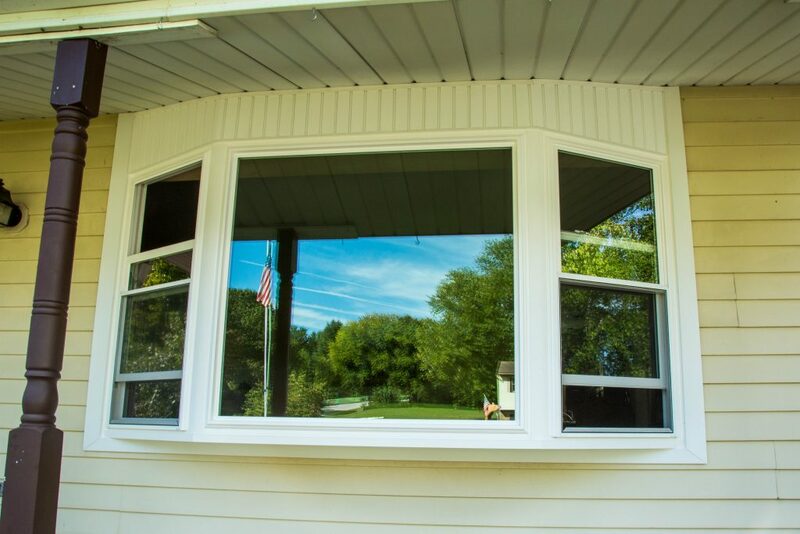 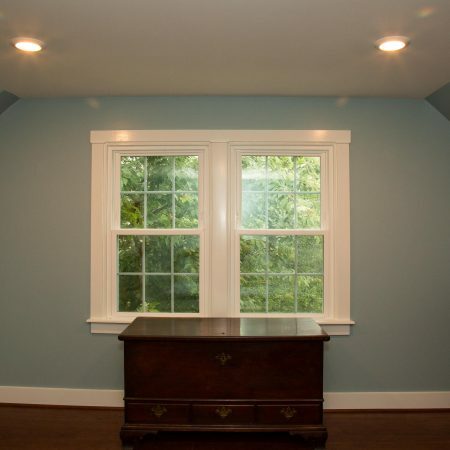 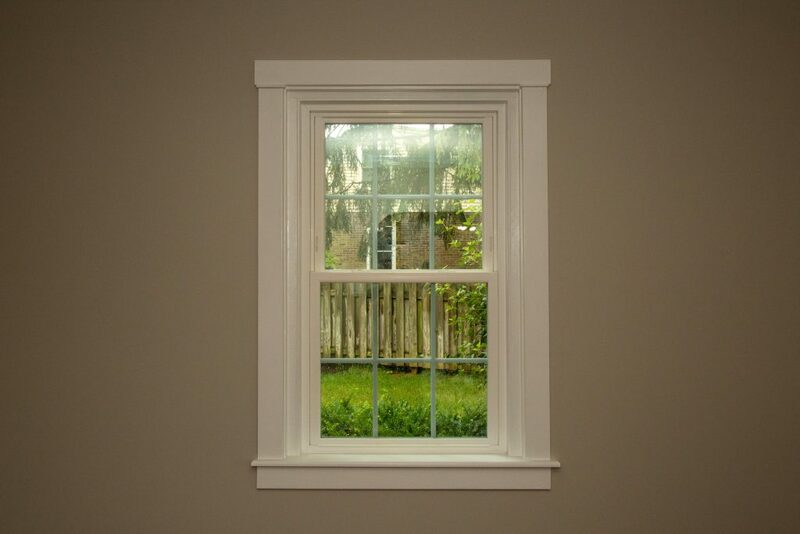 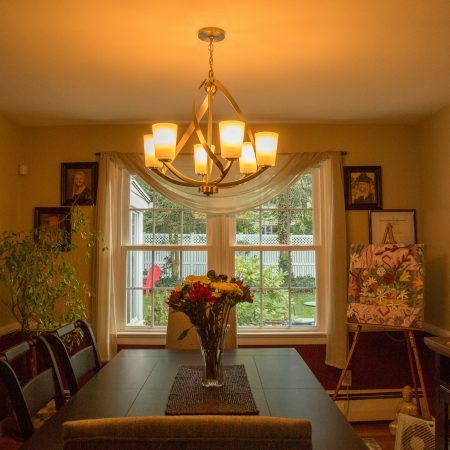 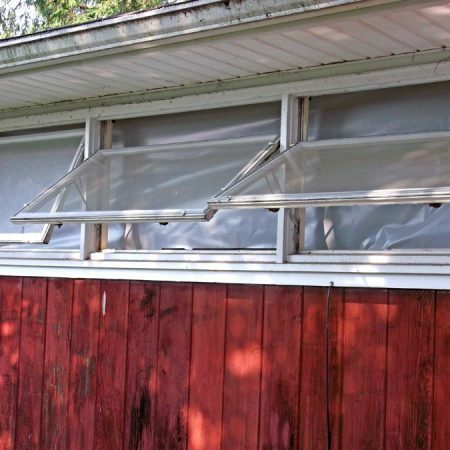 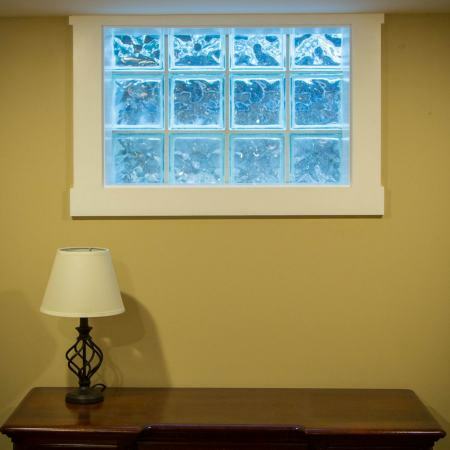 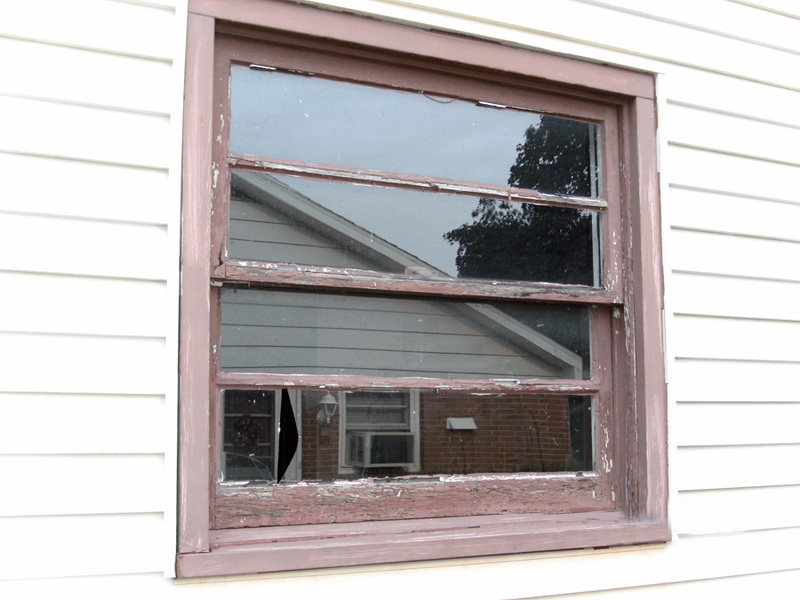 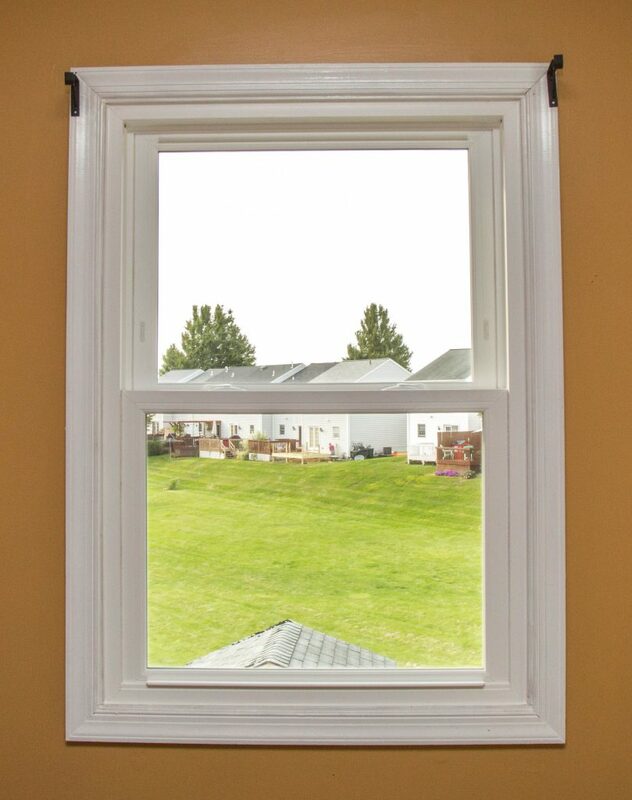 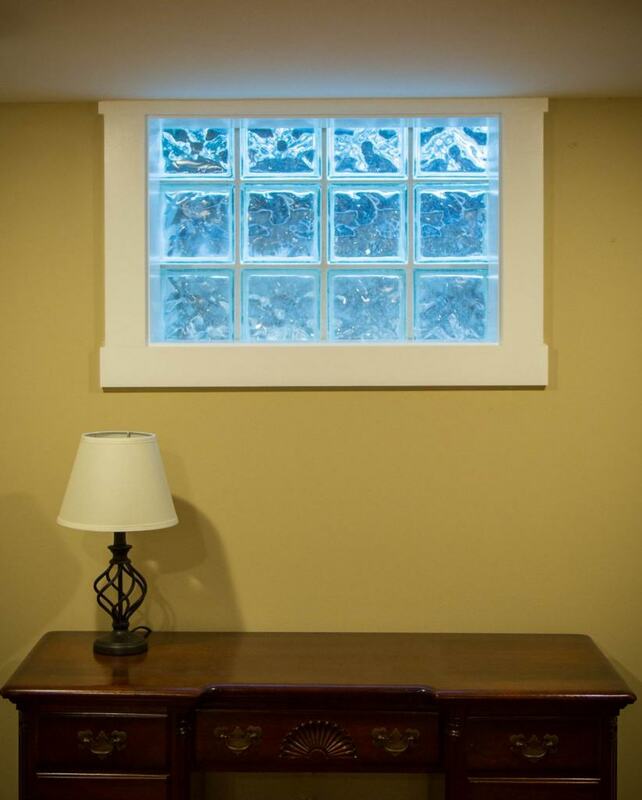 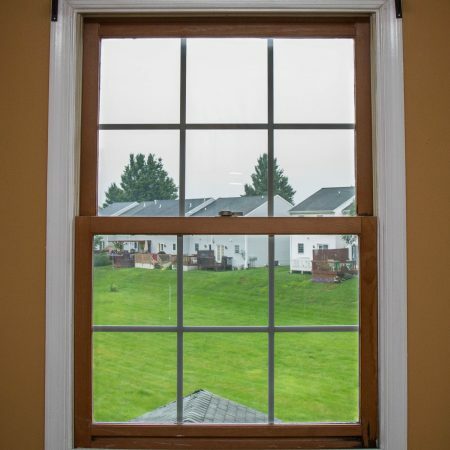 A casement is most commonly recognized as a crank out window. 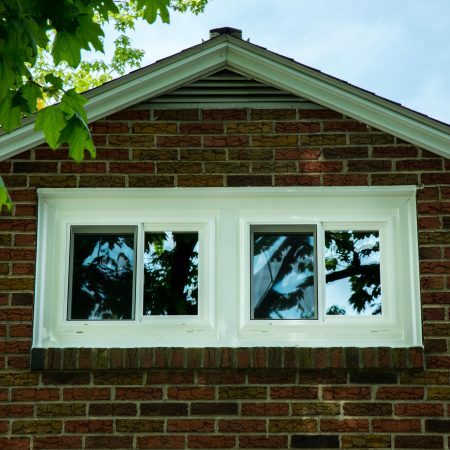 These windows are often seen as part of a bay or bow window but these are not the only places where casement windows are an appealing option. 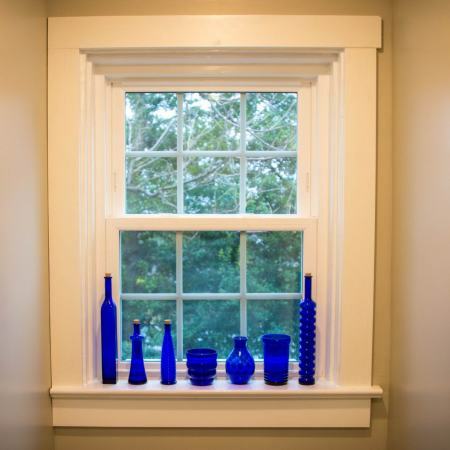 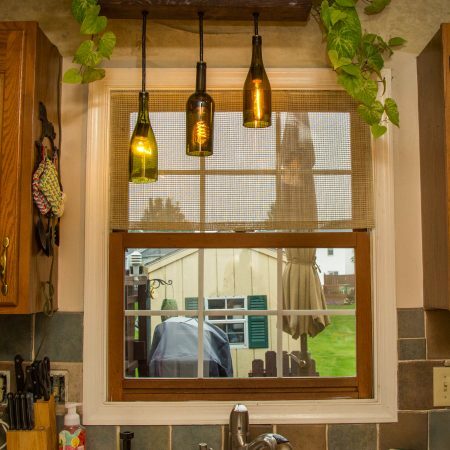 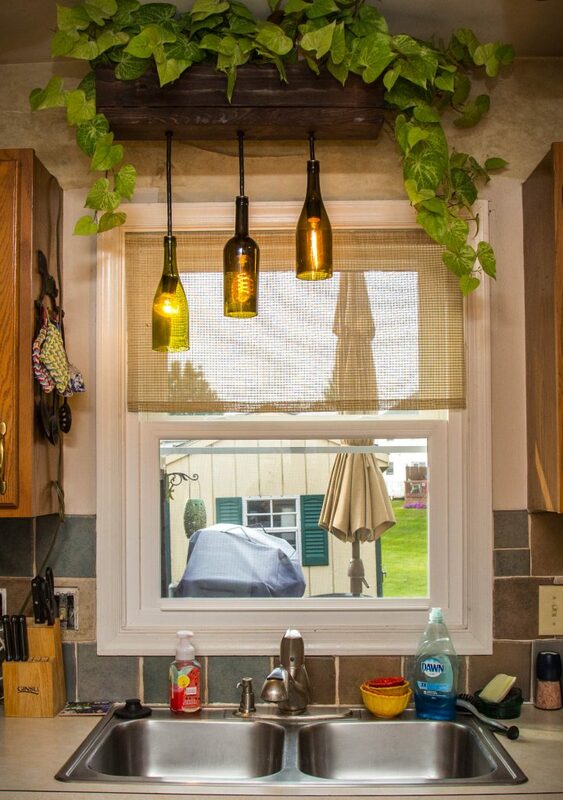 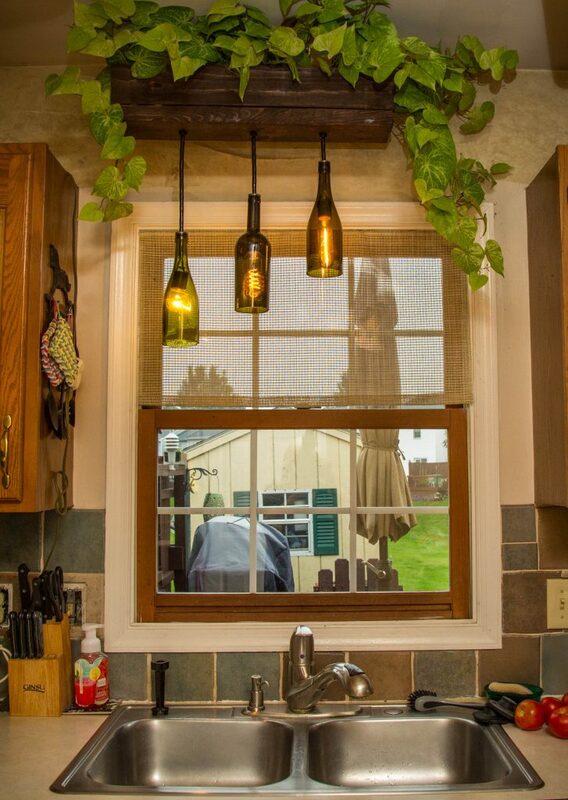 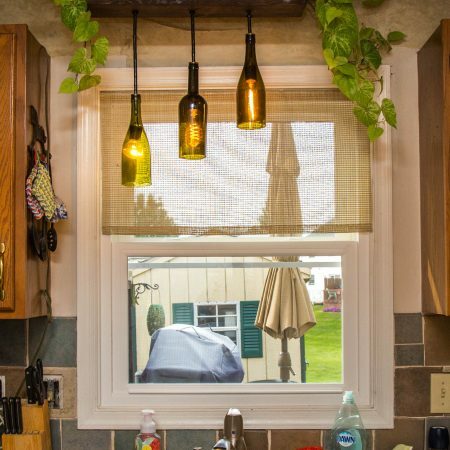 Above a kitchen sink or in a space where you are really looking to maximize the opening area of the window are great places for casement windows. 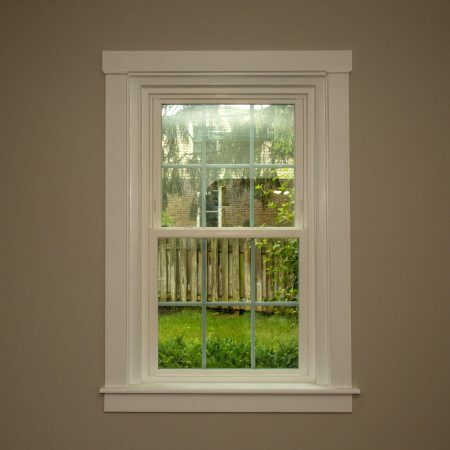 Casement windows can be one single window or multiple lite, depending on the opening and application. 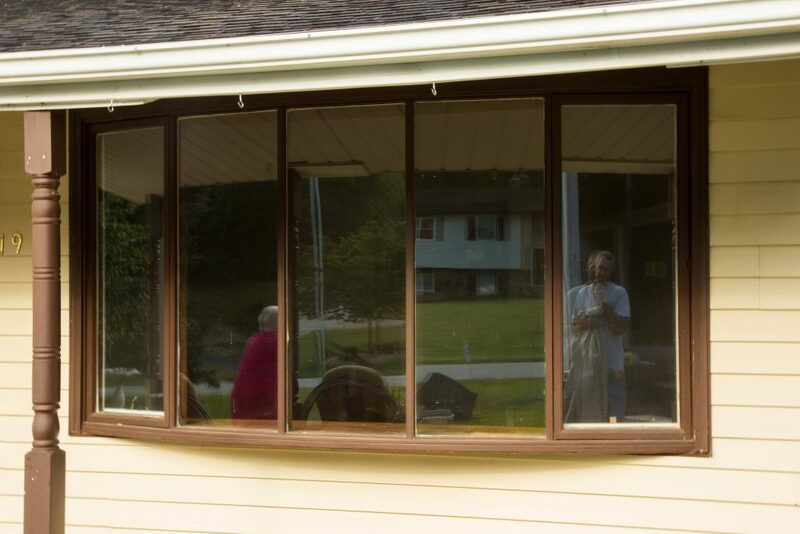 Sliding windows do just that, slide. 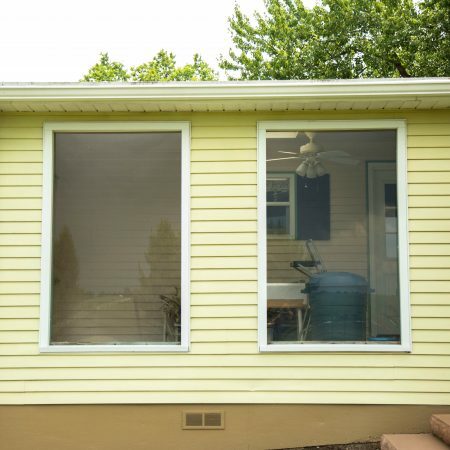 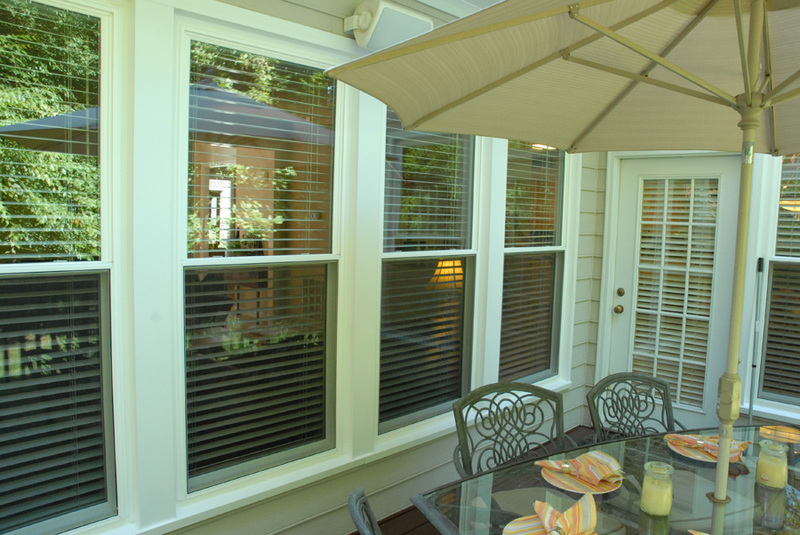 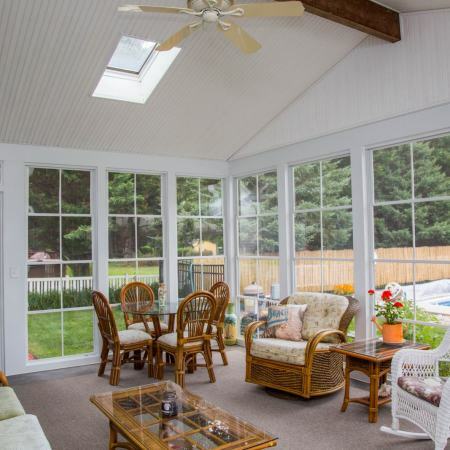 Sliding windows have many great applications but are probably most commonly recognized as part of a sunroom or porch enclosure. 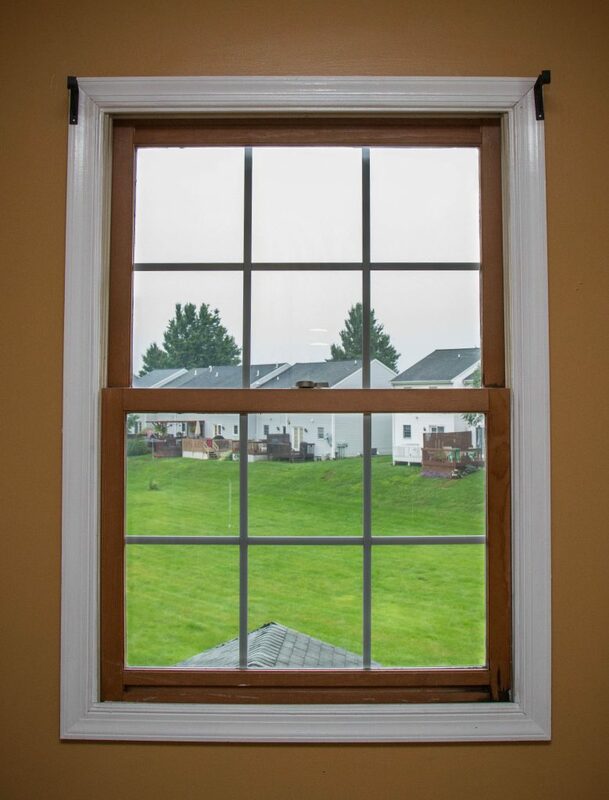 These windows allow you to open either the left or right side of the window. 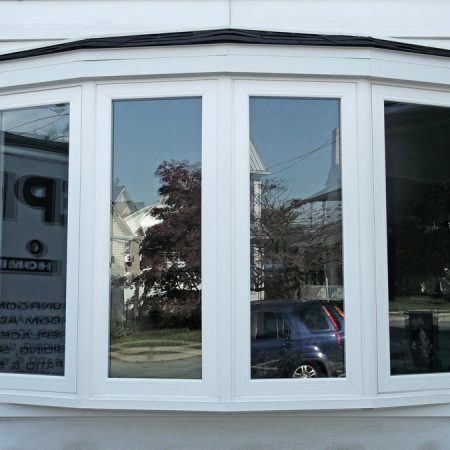 Most commonly seen in the 2-lite option, these windows can also be 3 lites, with the end lites operating and a fixed lite in the middle. 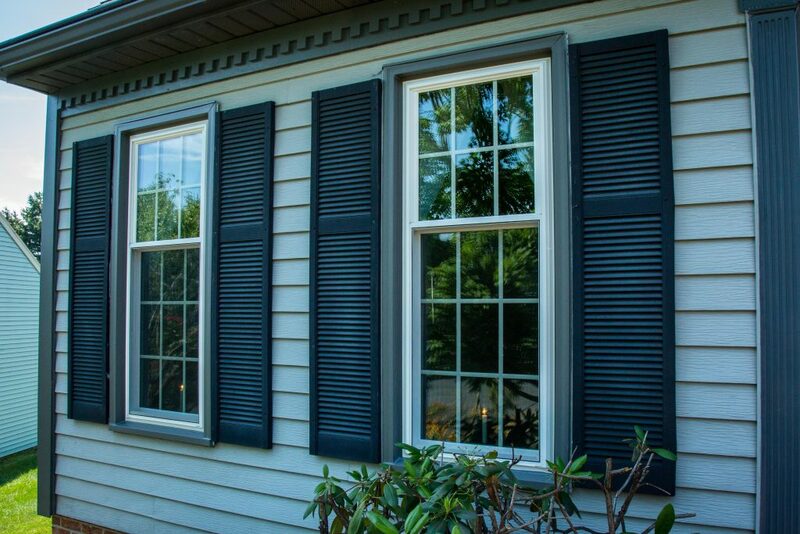 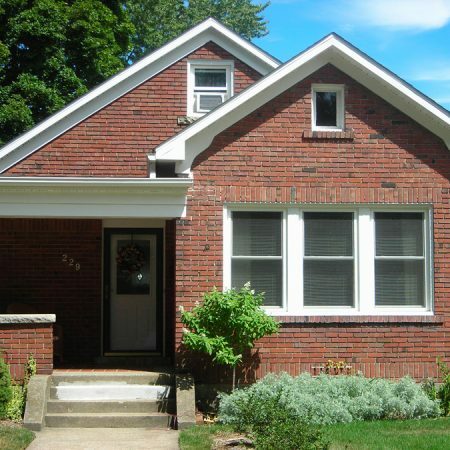 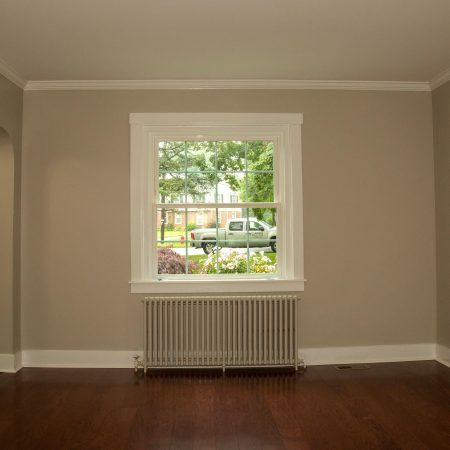 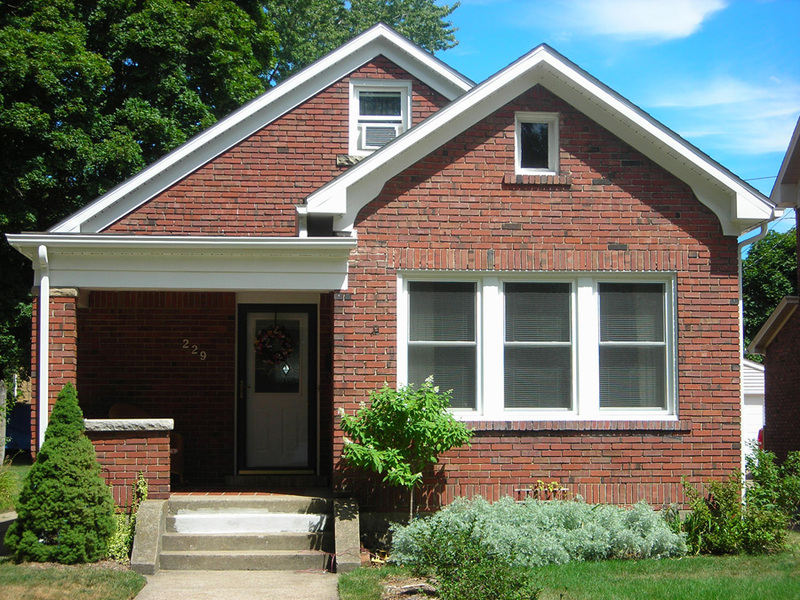 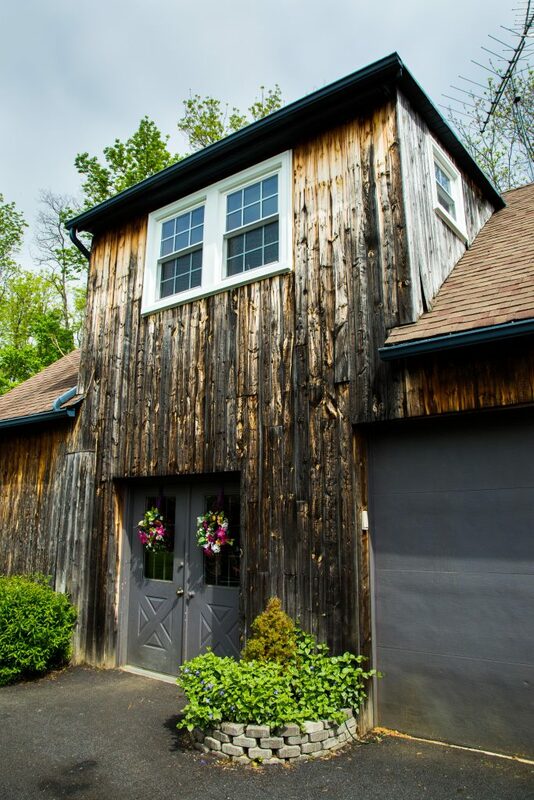 Double hung windows are probably the most common style of window. 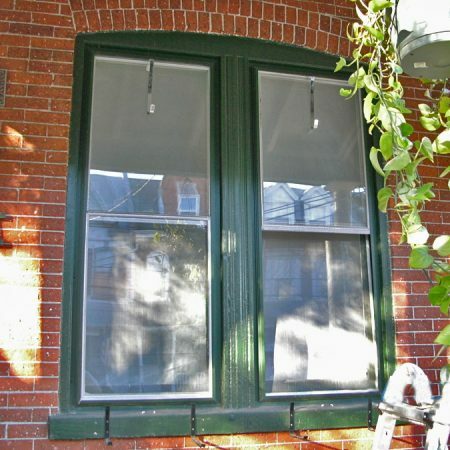 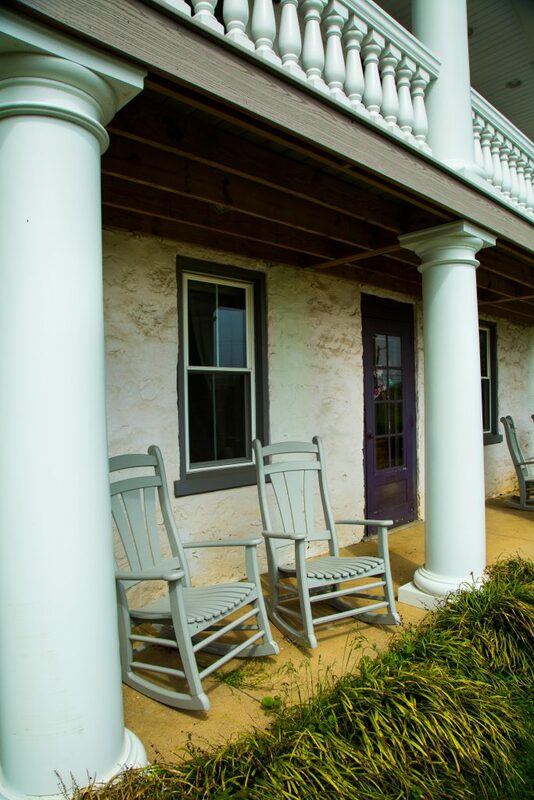 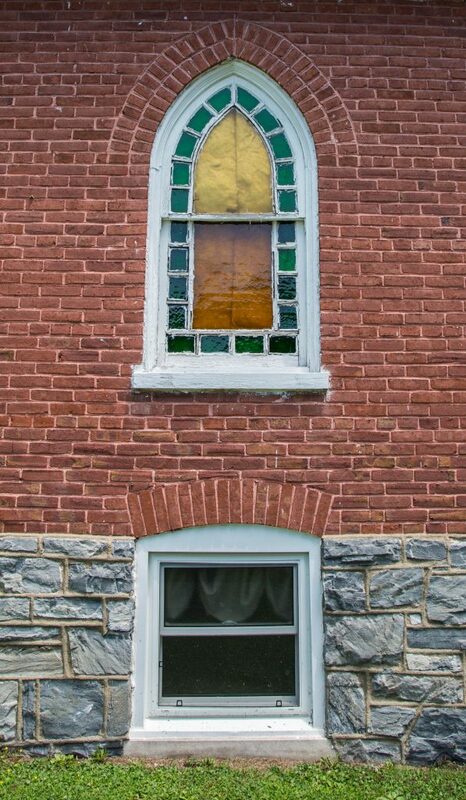 These windows consist of a top lite (or sash) and a bottom lite (or sash). 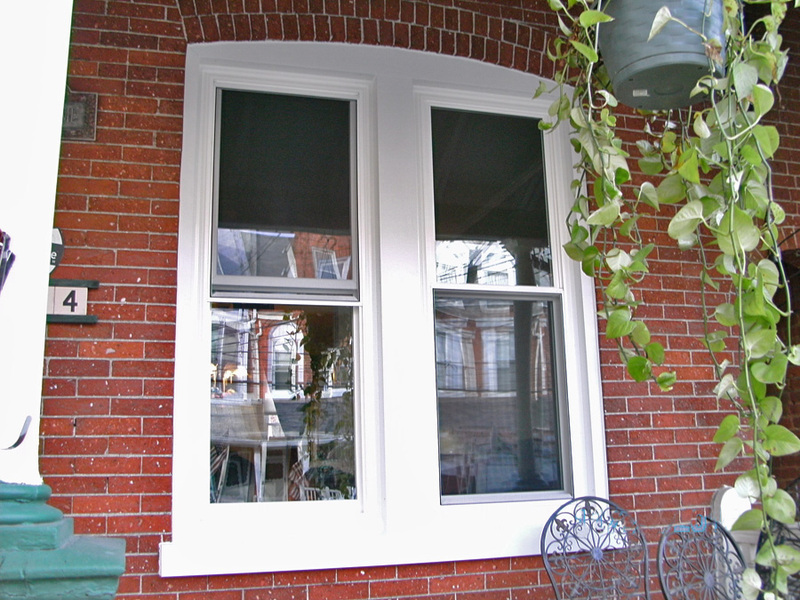 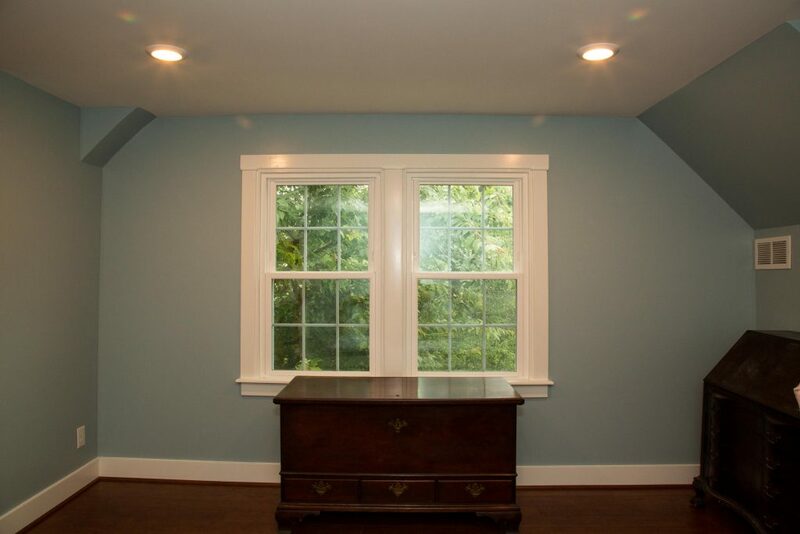 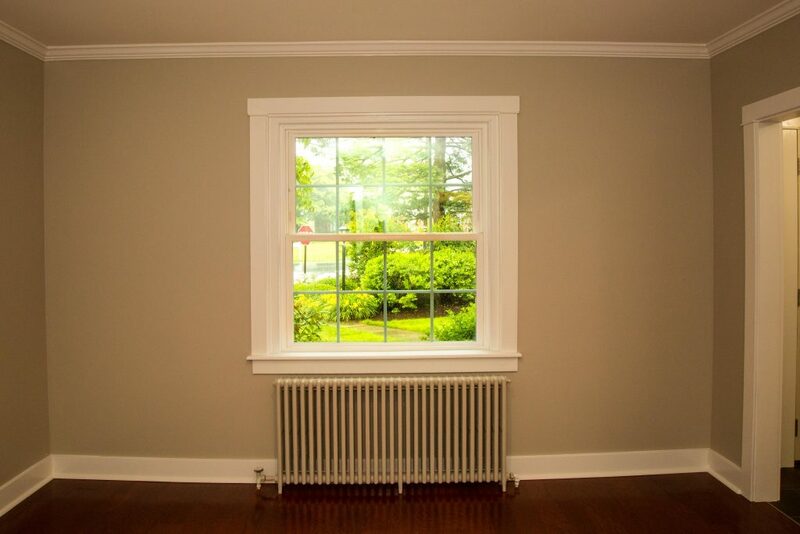 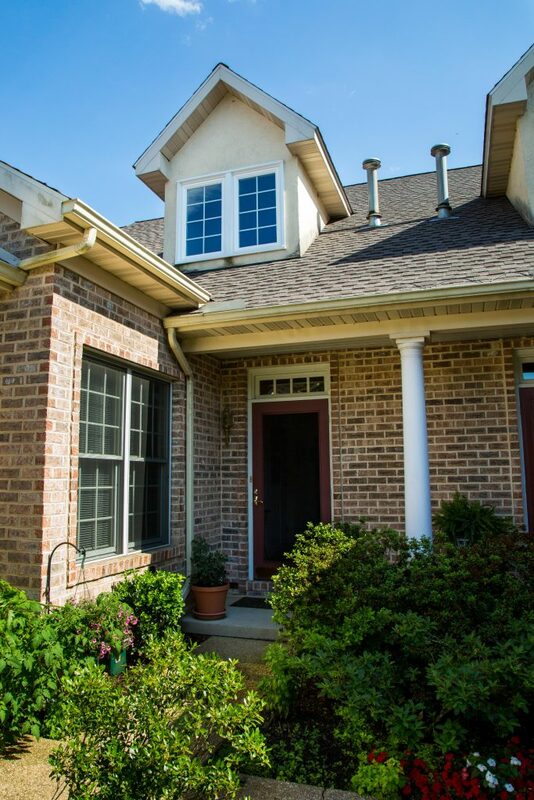 Double hung windows can typically be opened from the top or the bottom. 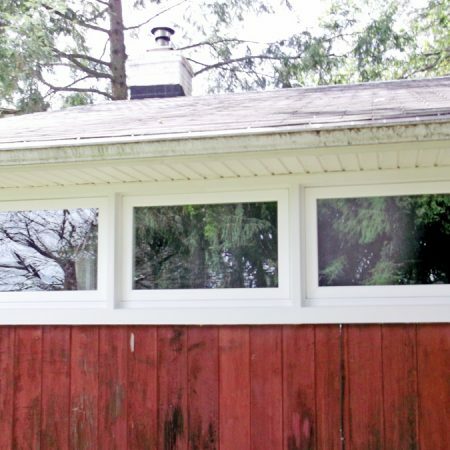 These are a versatile window style that can be used not only in your home but also work well for additions, sunrooms and porch enclosures. 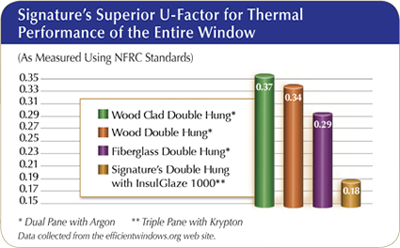 U Factor: Thermal Insulation The U Factor indicates how easily heat will flow through the window, whereas R Factor indicates the opposite, how well the window will resist heat flow. 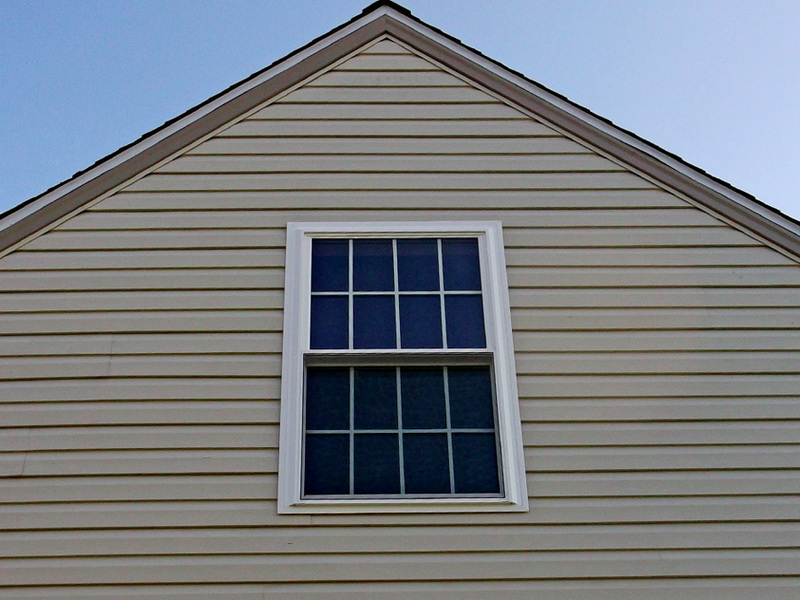 The lower the U Factor, the better a window insulates. 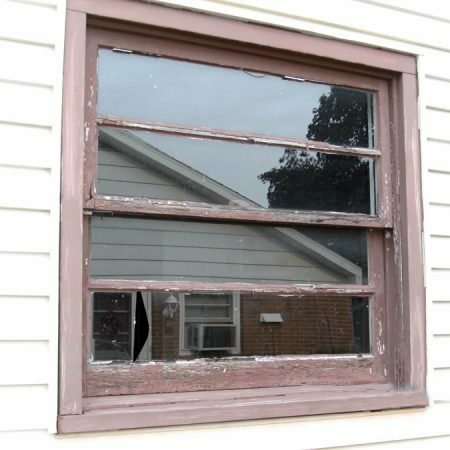 Solar Heat Gain Coefficient (SHGC): The amount of solar radiation admitted through a window. 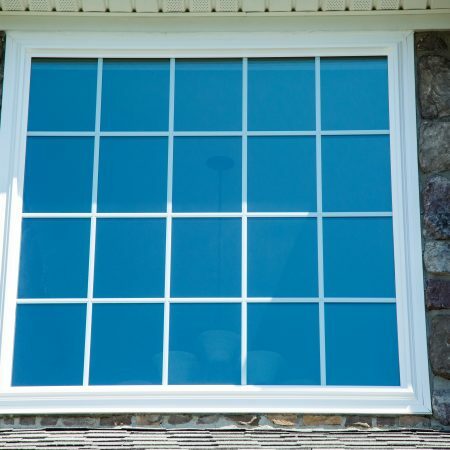 The lower a window’s SHGC, the less solar heat is transmitted into the house and the easier it is to keep your house cool in summer. 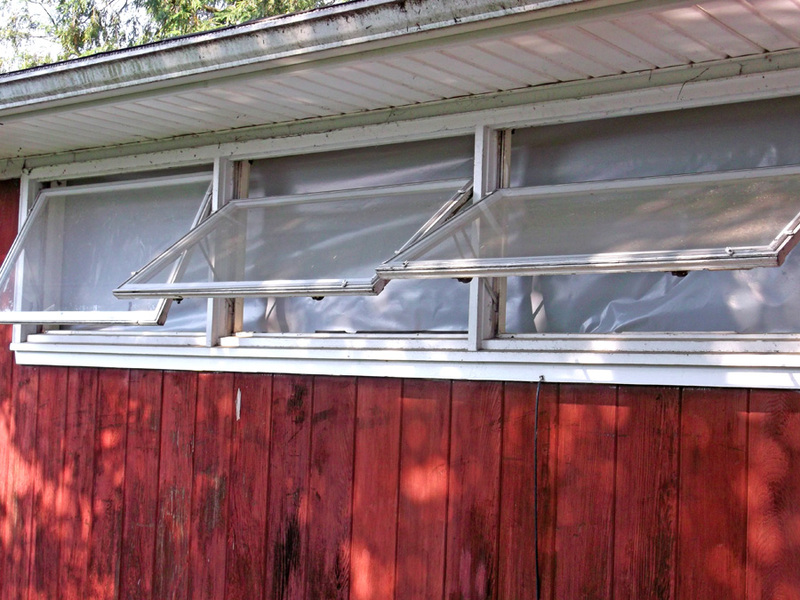 On the other hand, in northern climates, a higher SHGC can provide beneficial passive solar heating in the winter. 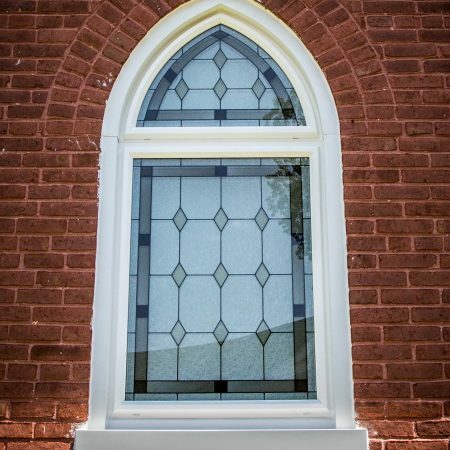 Signature offers a variety of high performance Low E glass packages with varying SHGC ratings to suit your needs, based on your climate. 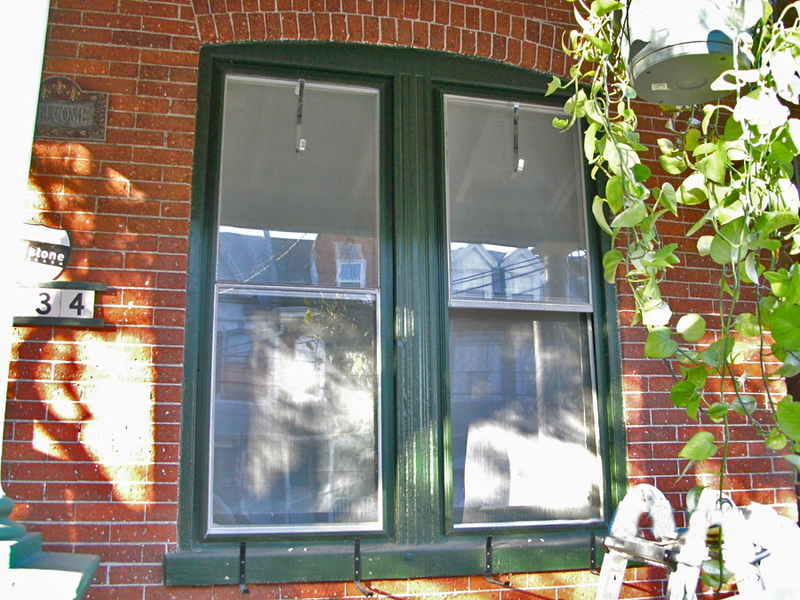 Visible Transmittance (VT): Measures the percentage of visible light that is admitted through the window. 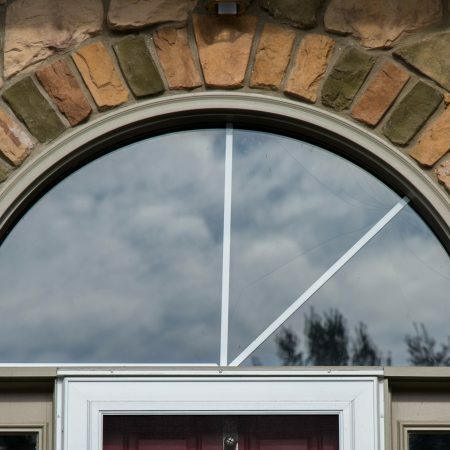 High performance glass packages have been designed to enhance a window’s thermal performance by blocking ultraviolet and infrared light, while maximizing visible light transmission. 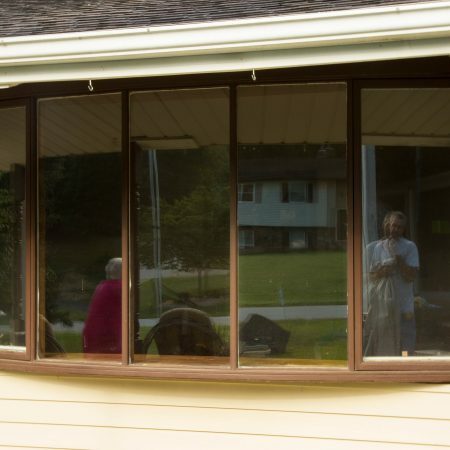 Clear glass itself blocks about 20% of visible light. 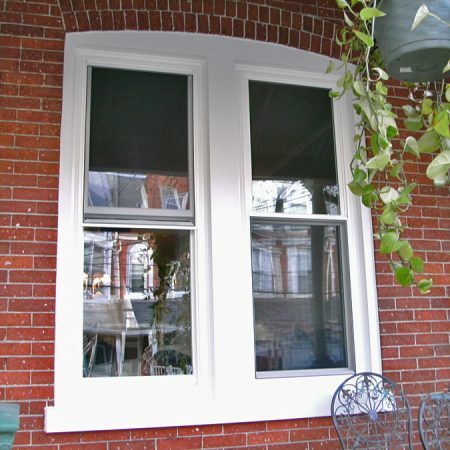 Signature windows are tested to standards set forth by the American Architectural Manufacturer’s Association (AAMA) for structural performance. 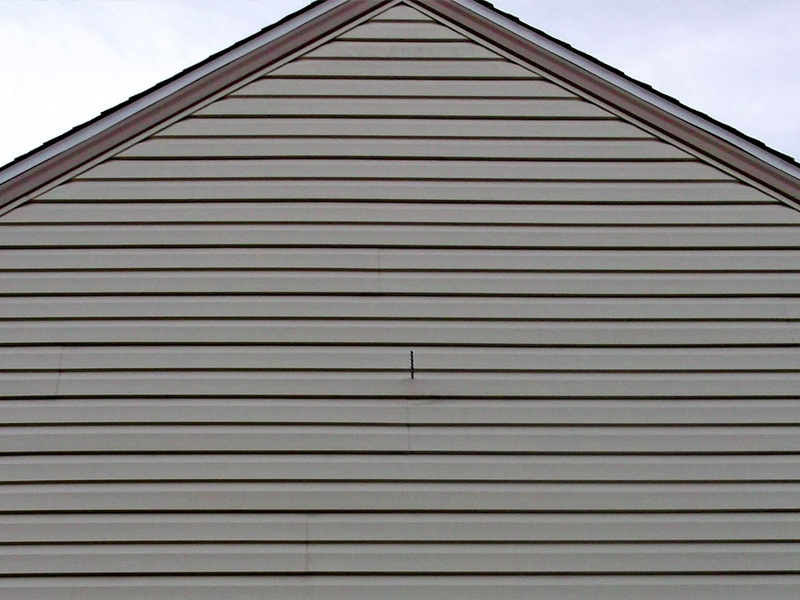 Air infiltration, water penetration, and structural wind loads are three commonly referenced tests. 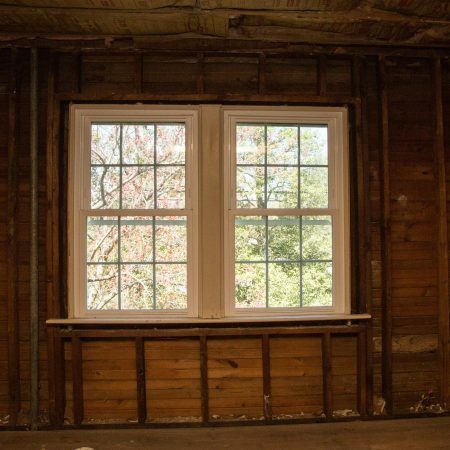 What Is Air Infiltration? 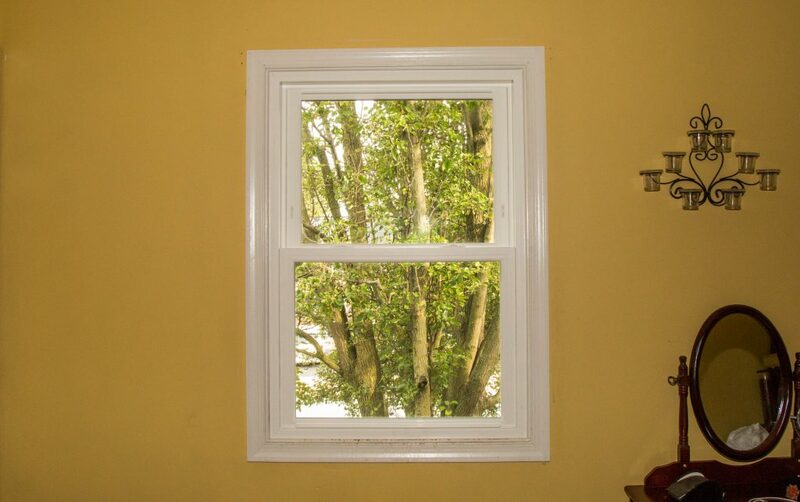 The amount of air that passes through the seals of a window’s operating sashes per minute, per square foot of window. 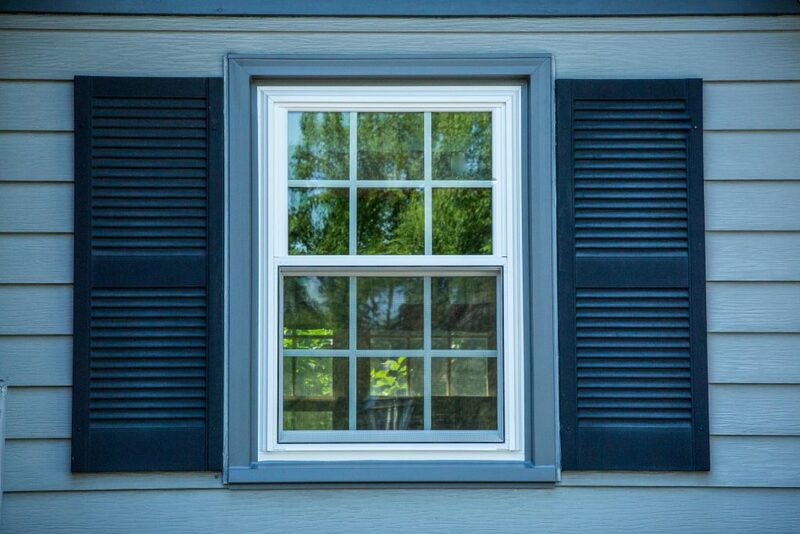 Using a typical vinyl window would be like having a hole in the wall of your home, leaking 9.68 balloons worth of air per minute! 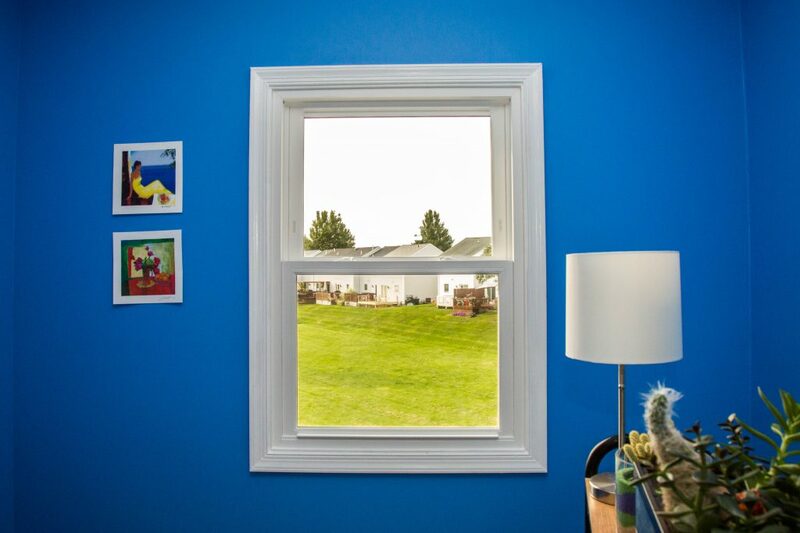 Signature windows are over 10 times more air tight than typical vinyl windows. 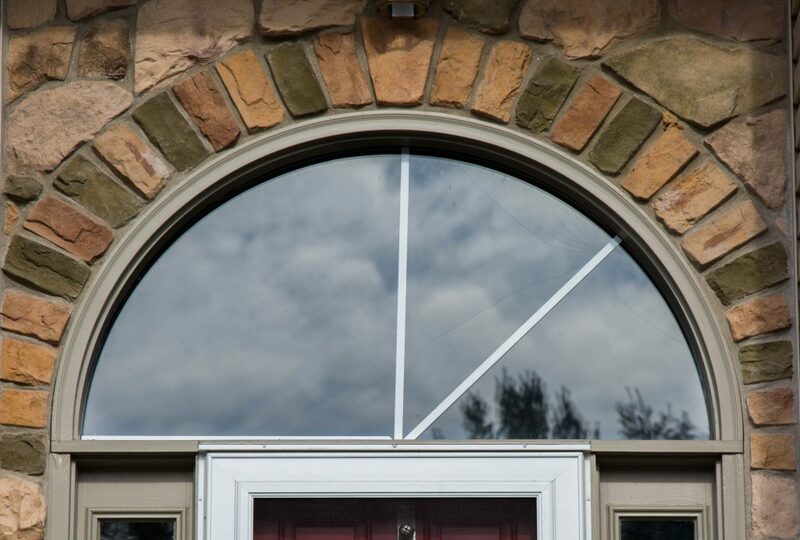 Use advanced Super Spacer® as a standard to create insulated glass with a warm edge around the perimeter. 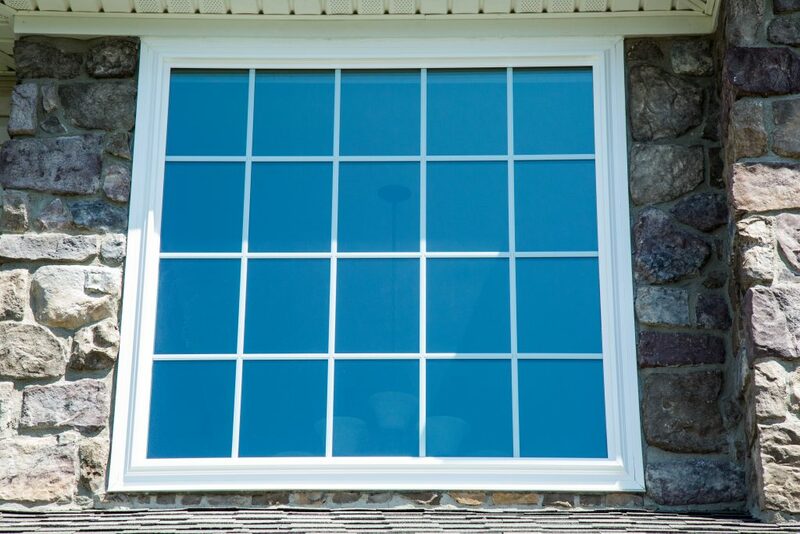 The edge of the glass is typically the coldest spot on the window and can be prone to condensation. 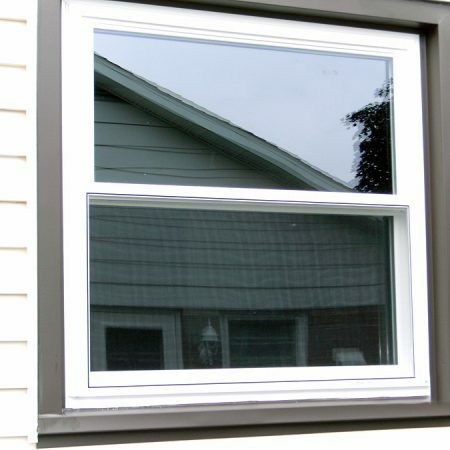 Other windows utilize glass panes with rectangular aluminum that conducts the heat away from the inner pane of glass, resulting in a cold edge. 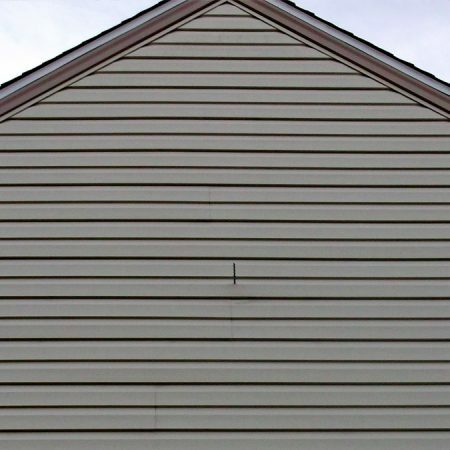 Super Spacer is a non-metallic, structural foam spacer. 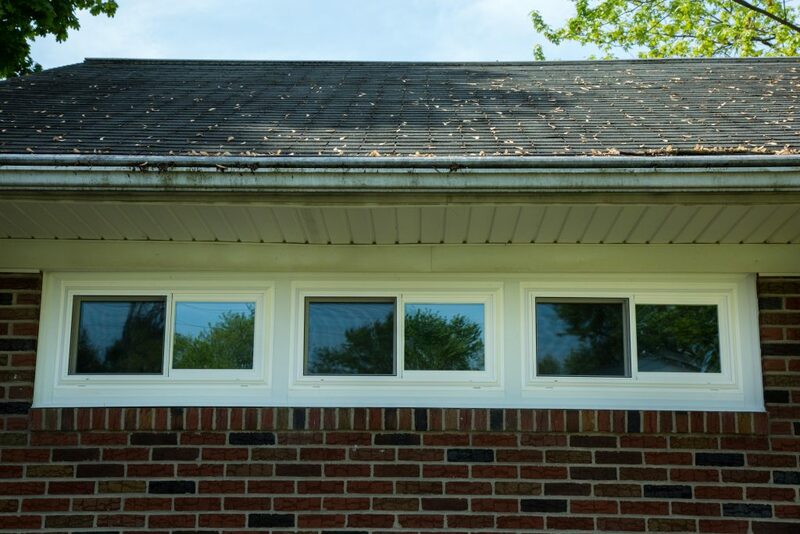 Super Spacer® blocks heat escape, dramatically reduces condensation, and offsets the effects of temperature changes that prevent stress cracks. 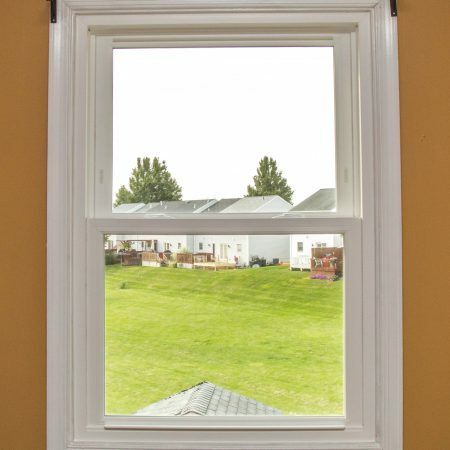 This “Health Smart® Spacer” significantly reduces the opportunity for mold and mildew to form on the window. 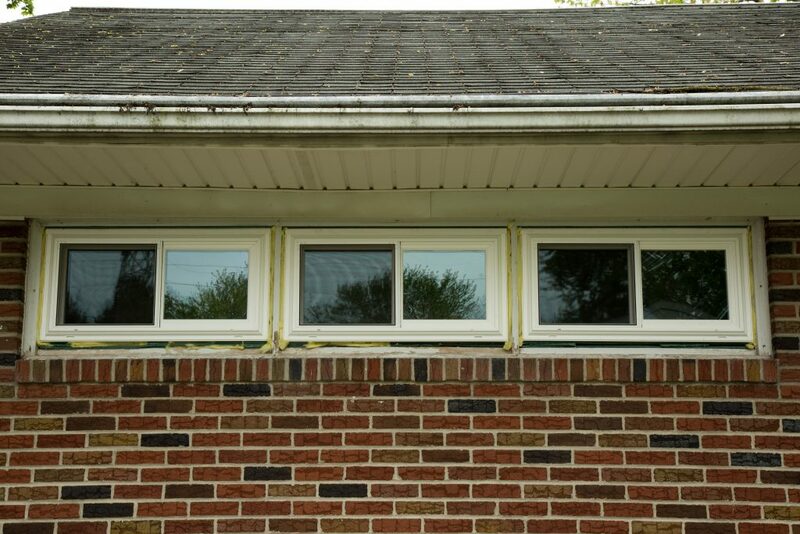 Microshield: Signature’s MicroShield triple antimicrobial weather– stripping maintains a weather tight fit between the sashes and frame. 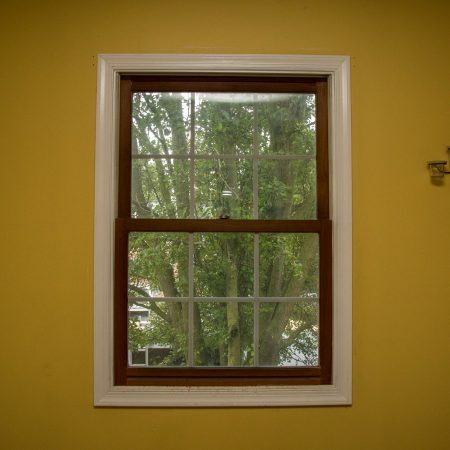 It keeps mold and mildew at bay, and is especially helpful for people with allergies and asthma. 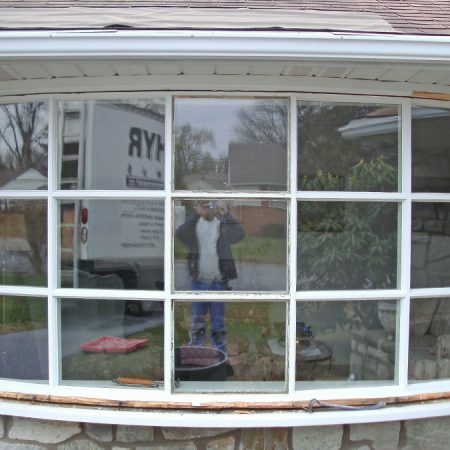 This completes the package for a truly “Health Smart®” window. 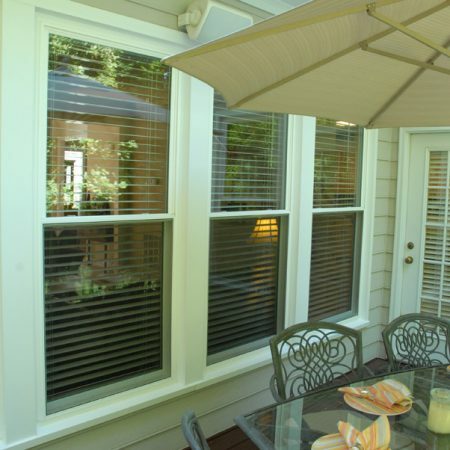 Choose the glass, grid, and color options that are perfect for you and your home…the possibilities are nearly endless. 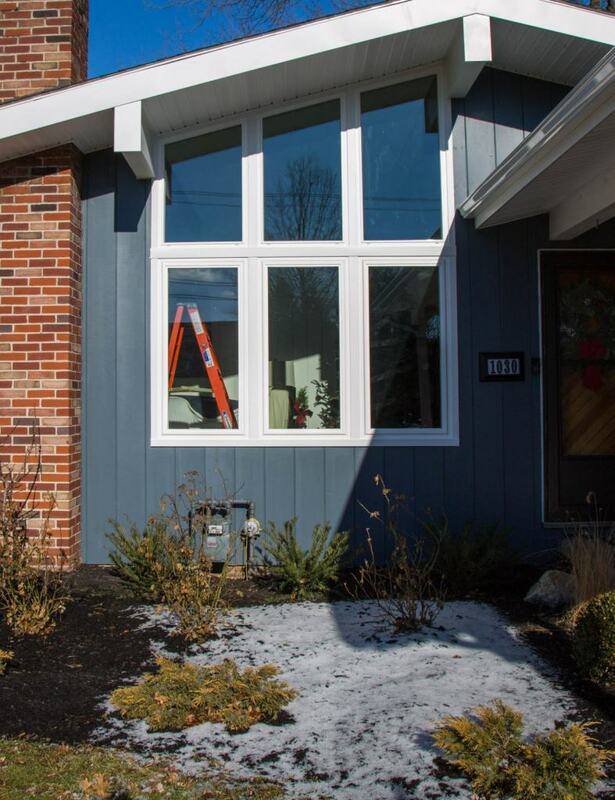 The flexibility of our window designs and the ability to integrate any design and size into your home allows for optimum cost effectiveness and energy efficiency when needing windows in Lancaster. 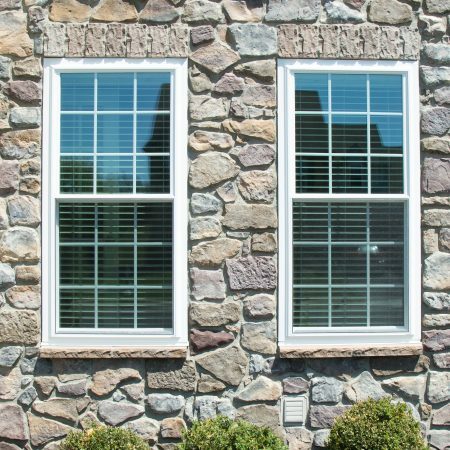 The choice is truly yours– style, size, color, and an assortment of specialty window shapes, grid styles, and glass options will provide a look designed exclusively for your home. 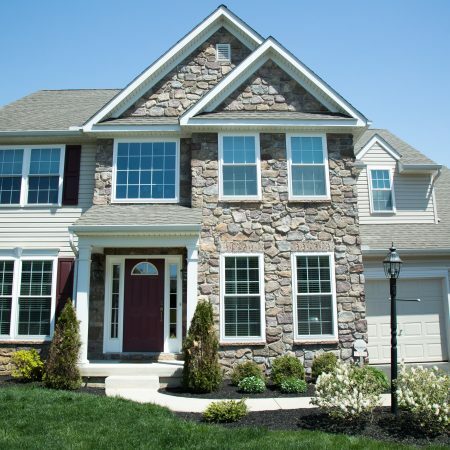 Download the Signature brochure for more information and features. 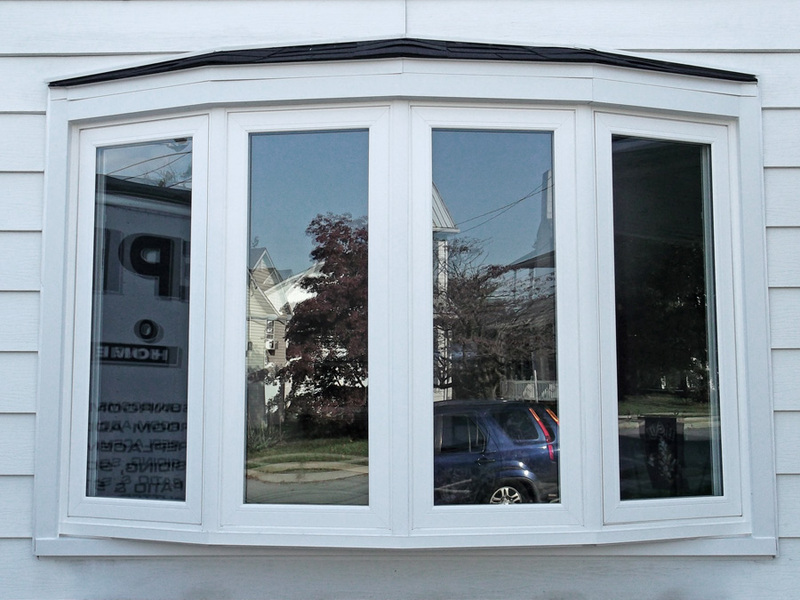 We have other window series and options available, so visit our showroom or call for more information.